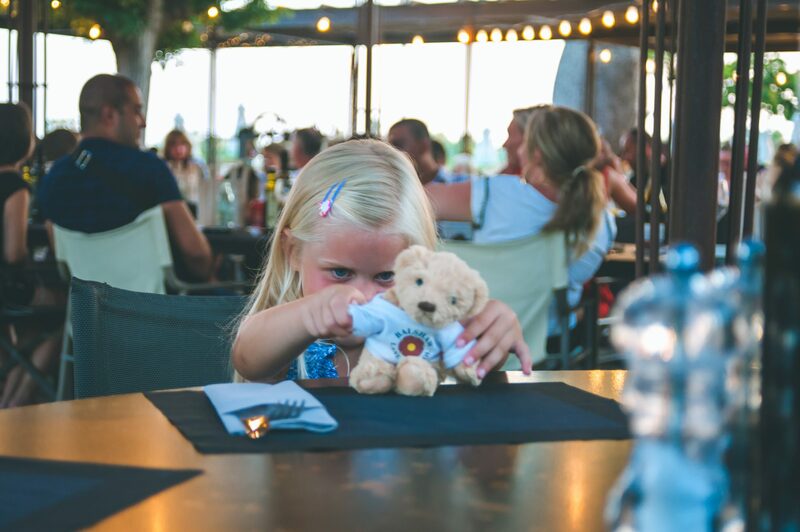 Four years ago, when Harry came along and made us a family of six, we reluctantly accepted that foreign holidays may not be an option for our family. 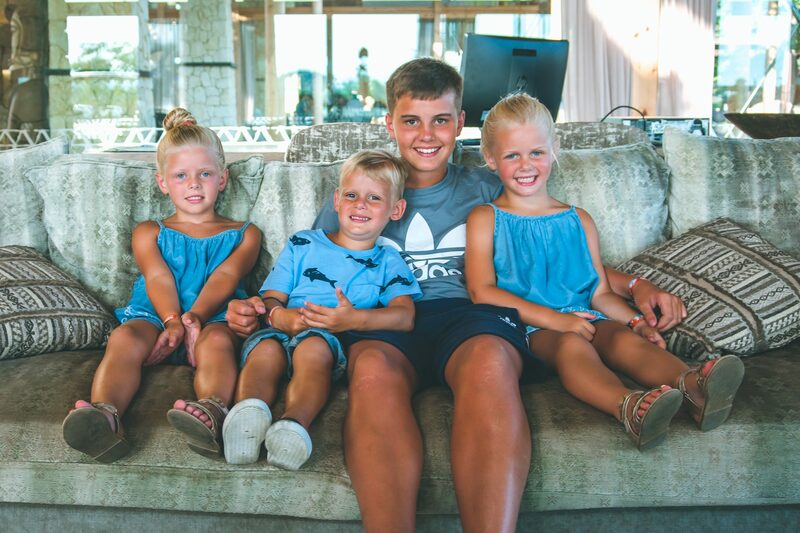 Not only would it be too difficult to find, and afford, accommodation for the six of us but, with a ten year age gap between Harry and Lewis, it seemed unlikely that we would ever find somewhere to provide for both a 4 year old and a 14 year old at the same time. And as much as we enjoy our UK holidays, I have to admit that, after a long cold Winter, we all longed for some sunshine. So when Eurocamp Holidays offered us a review trip to Sanguli, Spain, we quite literally jumped at the chance. By some coincidence I had stayed at Sanguli with my family in my teens, twenty years ago now, and I still remember it as the most amazing Summer. It was lovely to think I would return with my own family to make memories of our own. 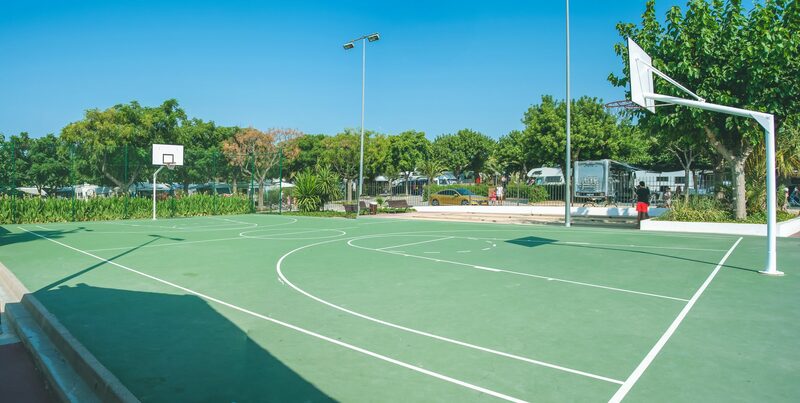 Situated in Salou on the Costa Dorada, Sanguli is just a 2 hour flight from Manchester to Reus Barcelona airport, with a 12km transfer to the resort. As you arrive at Sanguli and pull up the drive there’s no denying that the welcome is pretty impressive. 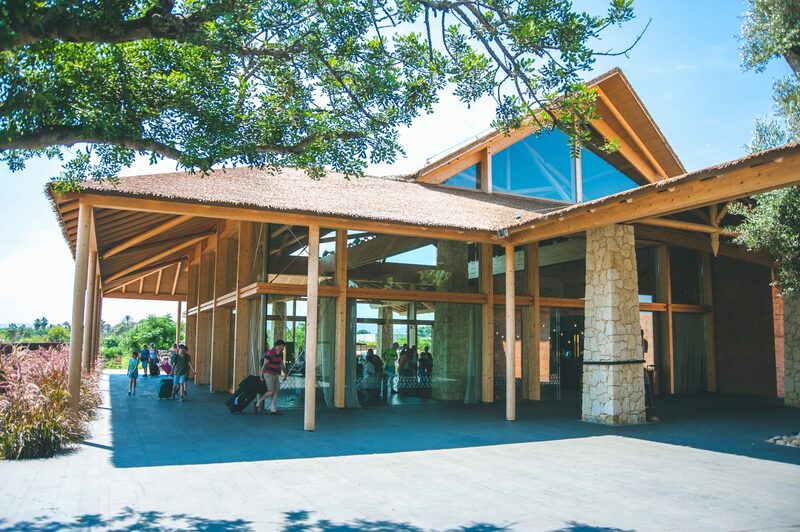 There are two reception areas for Sanguli, one for caravans and camping, and one for all other accommodation on the Parc. The first thing that hits you about the reception is the smell, I have genuinely never been into a building that smells as amazing as that one. When we were all hot and sweaty after our journey, there was literally no better feeling than sitting down on a comfy couch and breathing in that fresh scent! Check-in was super straight forward with our keys, our wrist bands and a map ready waiting for us. Every guest at Sanguli must wear a wrist band to use the facilities and my top tip is to make sure it’s loose enough to slide up and down your arm or you’ll end up with a white tan line when you take it off – something Gaz only realised on the last day! 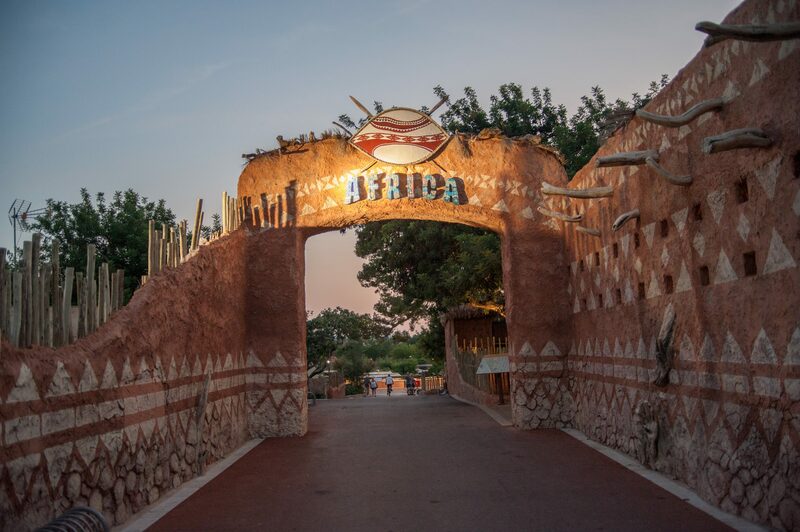 Our Eurocamp accommodation was in the area of the park named Africa, with the most incredible African theme running through the general surroundings, restaurant and pool. 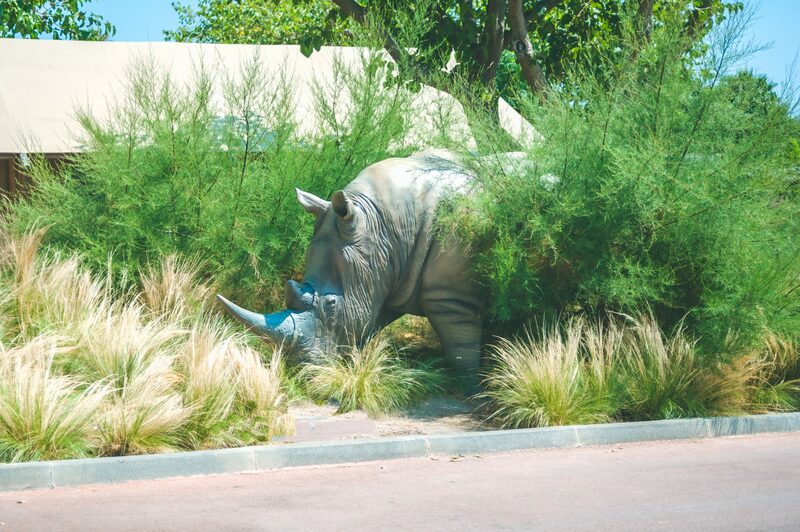 Everywhere you look there are models of zebras, rhinos, elephants and giraffes and, although we undoubtedly knew that we were in Spain, it really did feel as though we could well be on safari! 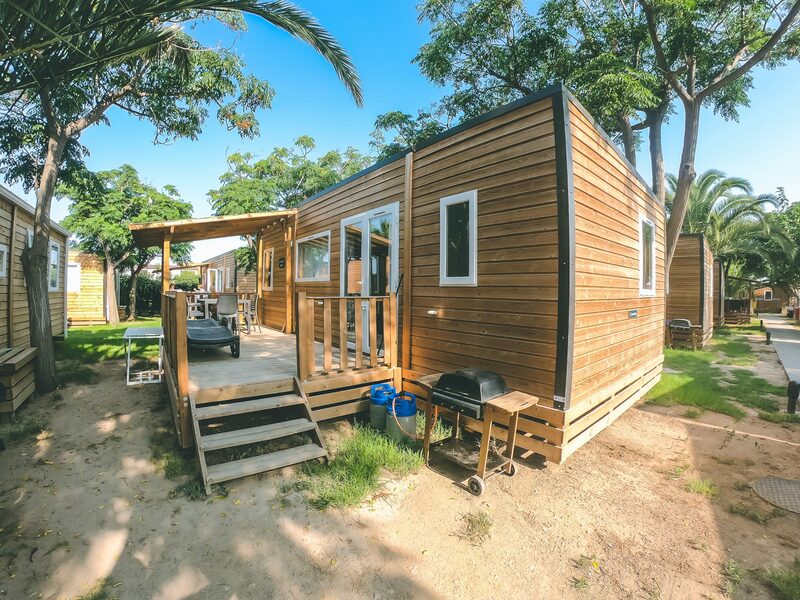 Our home for the week was the Azure mobile home which is the newest addition to Eurocamp accommodation and has a contemporary and flexible interior as well as a large covered decked terrace. 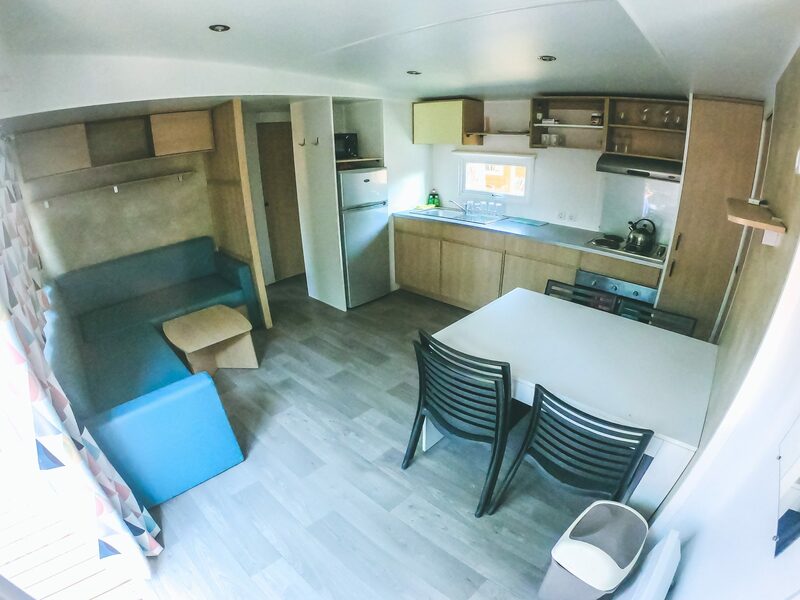 With three bedrooms – a double and two twins – there was plenty of room for the six of us and the living space was completely usable and fully equipped. 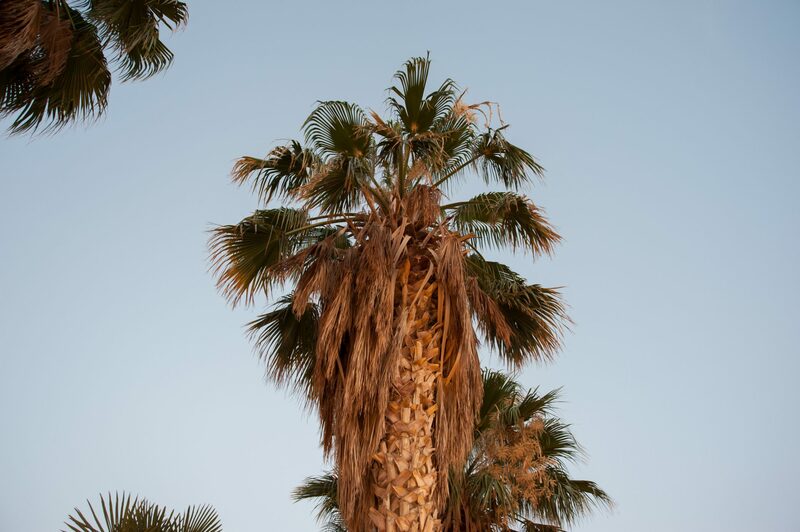 We were pleased to find that it had air conditioning, a real must during the Summer months, and even better, at an additional charge, all of our bath and beach towels were already waiting for us which saved a huge amount of space in our luggage! I’ll be honest with you, we spent all of our time on the decking, either shaded beneath the canopy or lounging in the sun, and our mobile home simply acted as somewhere to sleep in each night. 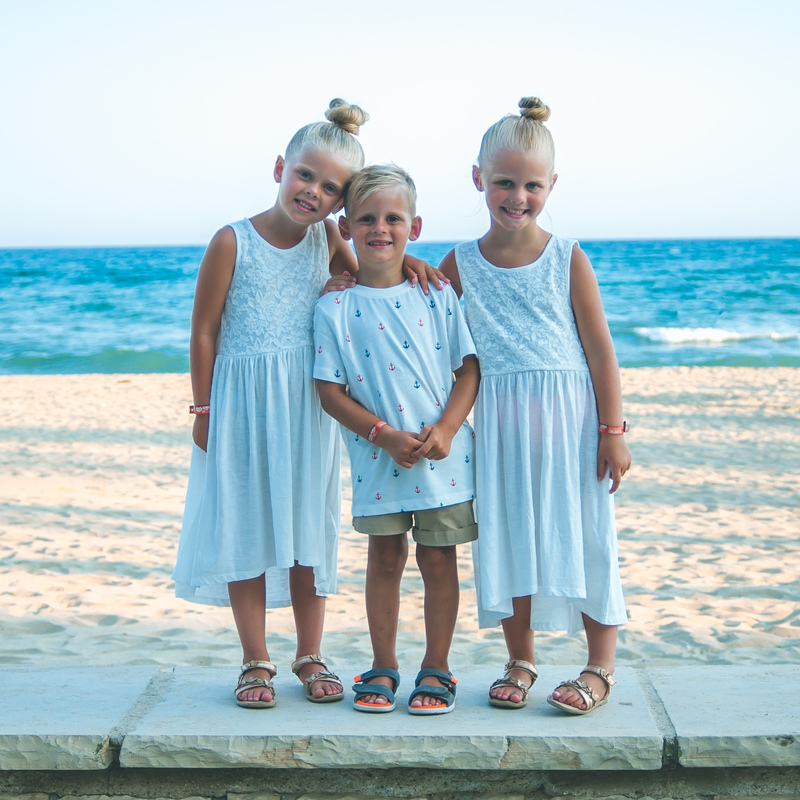 I’m not sure if it was down to the beds, the air con, or just general exhaustion from all the fun we’d been having, but the children have never slept as well as they did during that week. We actually had to set an alarm and wake them each morning. Amazing! I think it’s safe to say that the most impressive thing for the six of us was the swimming pools at Sanguli. 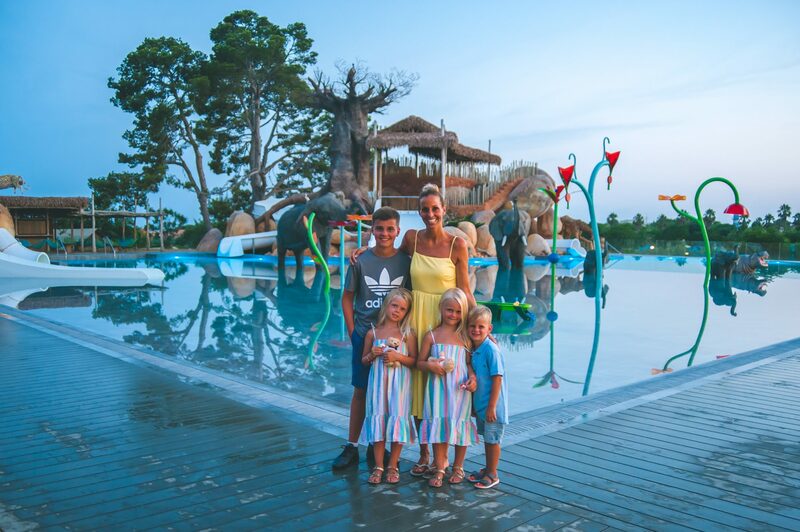 We have never been to a resort before with so many different pools and water slides, and due to our visit coinciding with the Spanish heatwave, we spent the majority of each day playing in at least one of them! 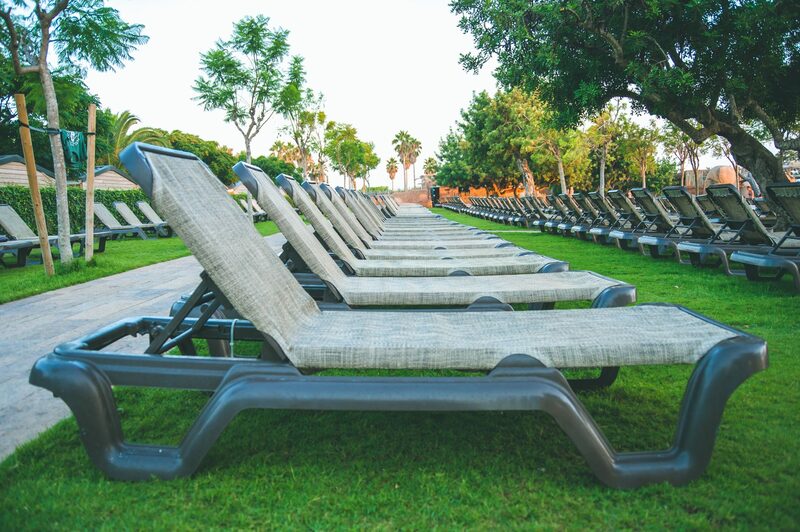 The great thing about Sanguli is their rule that no sun beds can be reserved before 11am, so you don’t have to worry about not getting a sun bed if you’re not up at the crack of dawn. I also love how in all of the sun bed areas there are shaded areas should you need them. 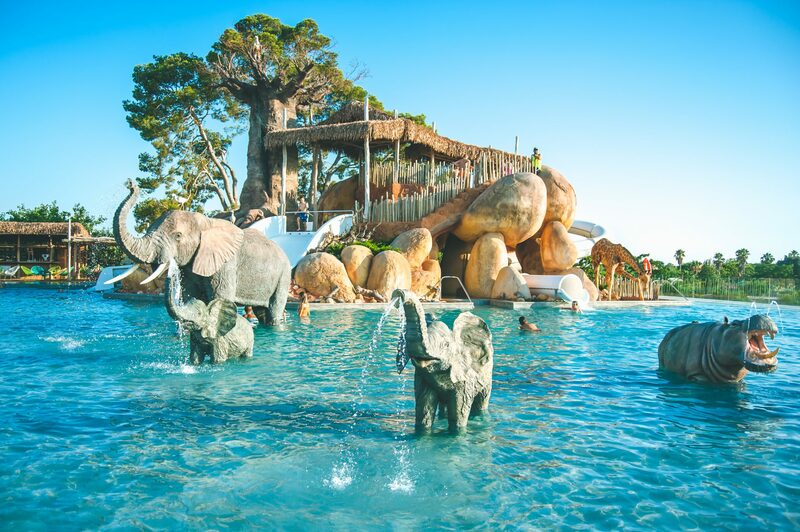 Our favourite pool was over in Africa and was undoubtedly one of the most amazing pools we have ever swam in. 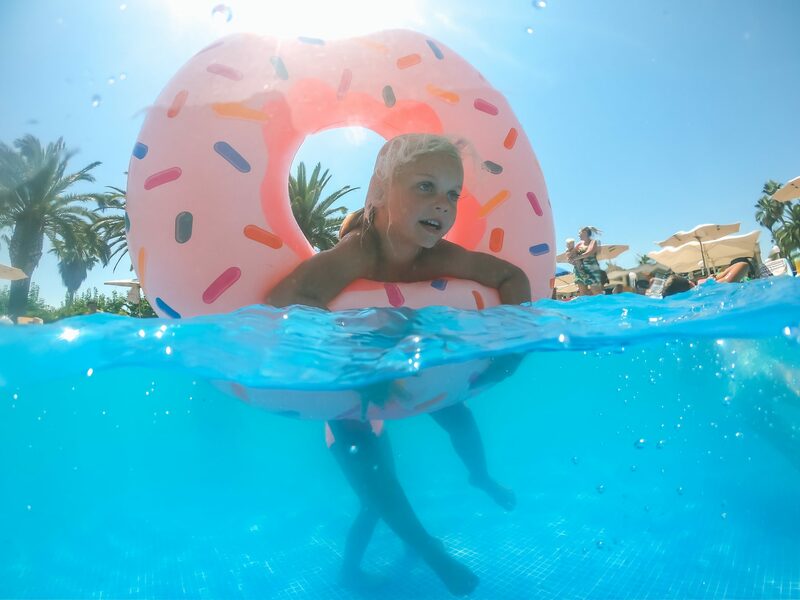 With a large rectangular pool for swimming, a shallower splash pool for the children, and a variety of water slides for all ages, it was just perfect for us with three little ones and a teen. 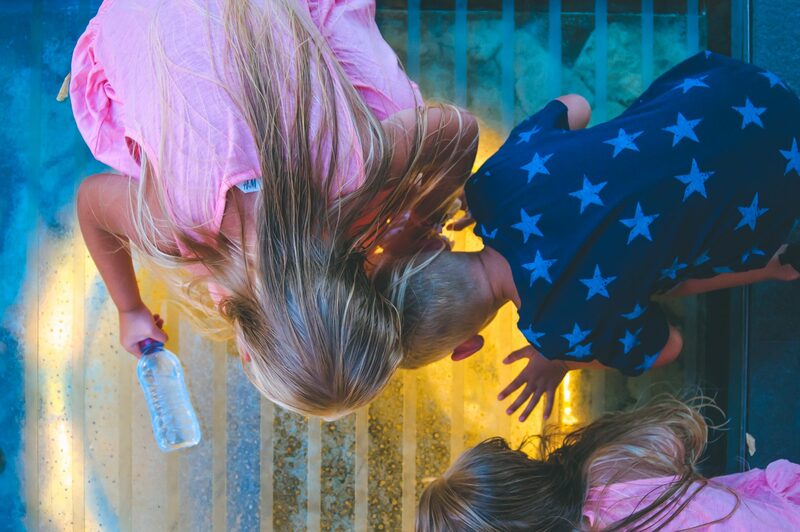 The animal models in the water are such an amazing touch and when the children saw the water fountains coming from the elephant trunks they were so excited! 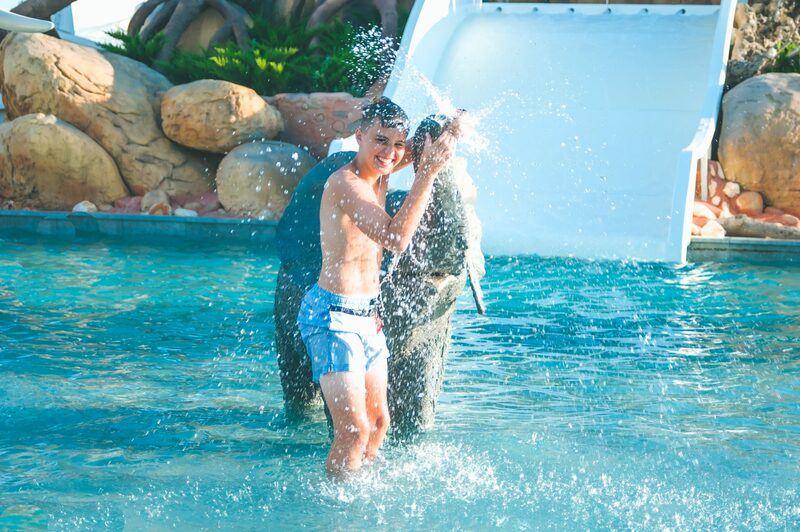 I loved that the Africa pool had both smaller water slides for the little ones and larger water slides for Lewis. It was lovely to see all four children playing together which is exactly what I had hoped for on our holiday. Several days we stayed at the Africa pool right through from morning to night, buying lunch at the bakery beside the pool, or getting a bag of chips to share from the takeaway. 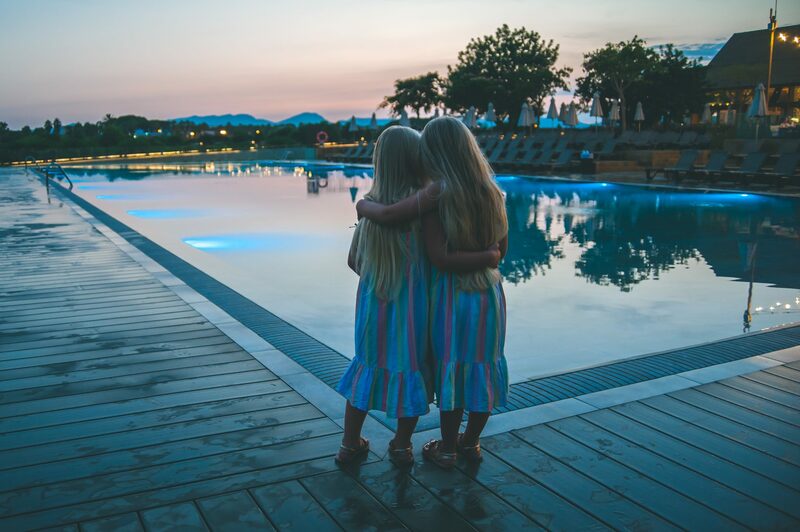 Having been used to full on UK holidays with days out and constantly striving to find ways to entertain the children, it was so lovely to just sit back and relax and know that regardless of how long we spent in that pool, they genuinely never, ever, got bored! The Fiesta pool was another complex where we spent a lot of time during the week. 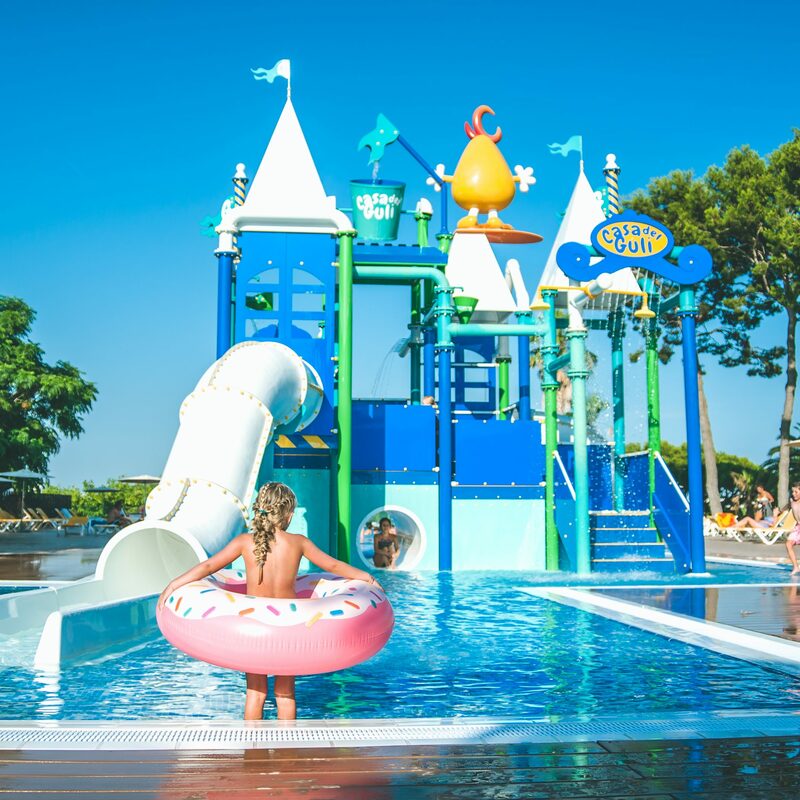 As far as swimming pools go this one is pretty special – made up of a large pool with the Bar Oasis, water slides and chutes, a pool specifically for little ones with small water slides and inflatables, a rectangular pool for swimming and a splash pool with the most amazing water play zone for children! The great thing about having so many pools is that nowhere feels overly crowded, not even in peak season at the height of Summer. Also with having so many separate areas for different age ranges, for the first time in six years, we were able to sit back and allow the children to play in the splash zones as we watched on, knowing that they were only ever a few feet away, in no danger of being knocked knocked over by older, more boisterous, children, and weren’t about to wander off out of their depth into a deeper pool. To the back of the Fiesta Pool, a bit of a hidden treasure, was a fantastic (and shaded!) play area for the children. 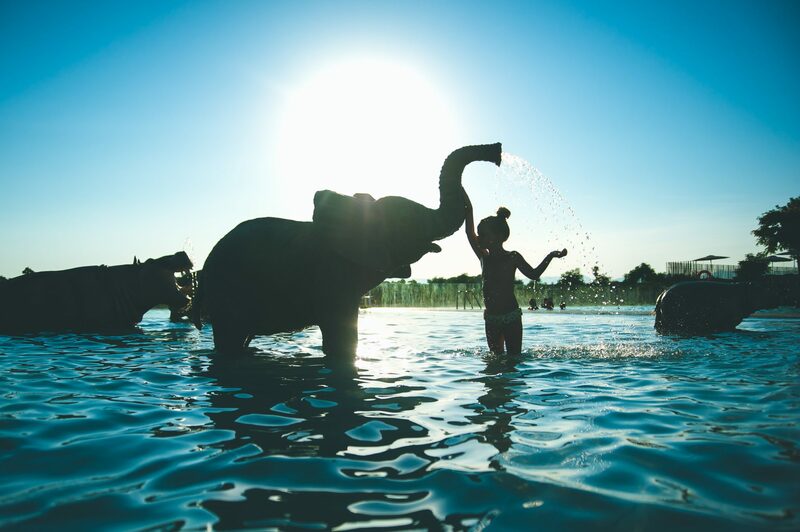 Built on sand, it was great for them to play on in the heat of the day, whilst still being able to dip in and out of the pool without needing to get dressed and go elsewhere. 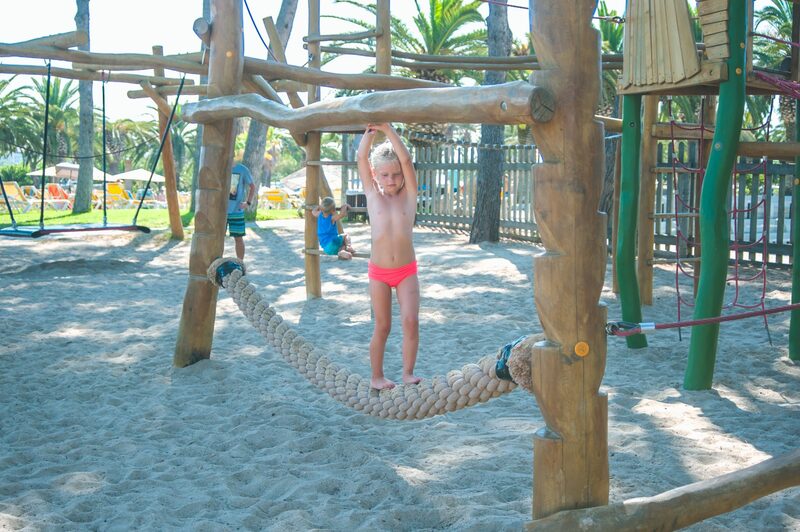 The play area is also in direct view of the sun loungers which is great for us parents who can lie back and know that the children are within view at all times. Despite being July, most days there were just a handful of children playing in the playground and the majority of the time, just our three! It was a real safe haven from the sun, although wow that sand could get hot without flip flops!! The great thing about all of the pools is that there are snack bars everywhere you turn, so you don’t have to walk far to get a cold drink and an ice lolly. 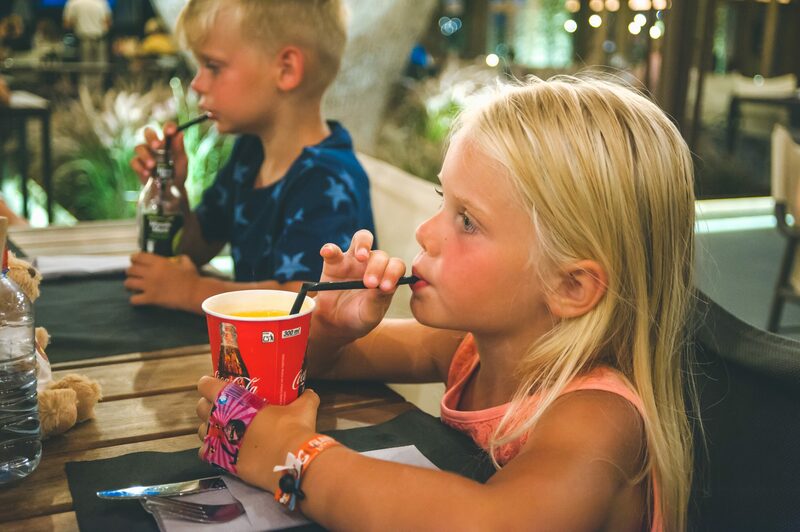 I was surprised by how reasonable the prices were for things like ice creams and cold drinks although to save more money it was just a few minutes walk to the resort supermarket where they had a huge range of cold drinks and multipacks of ice lollies. We went through a fair few!! 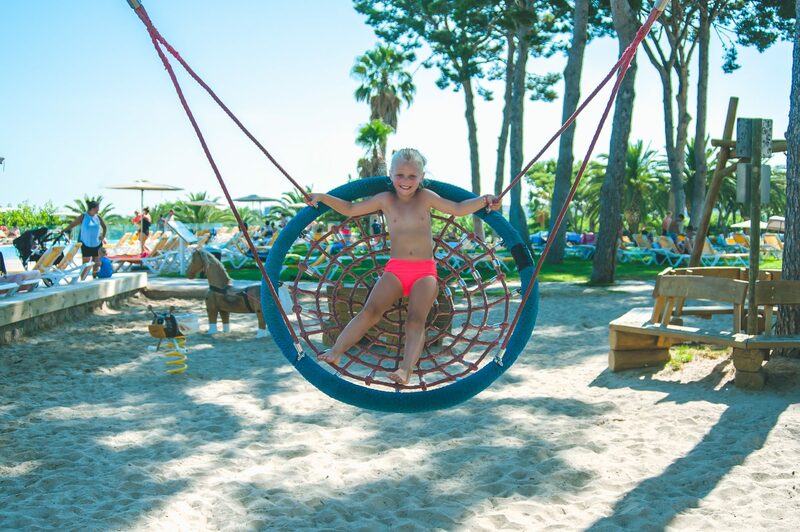 For children who prefer something other than playing outdoors, the resort has an on-site kids club, ran by Sanguli and not Eurocamp, open to all children over four. Under fours are welcome but an adult must stay with them at all times. 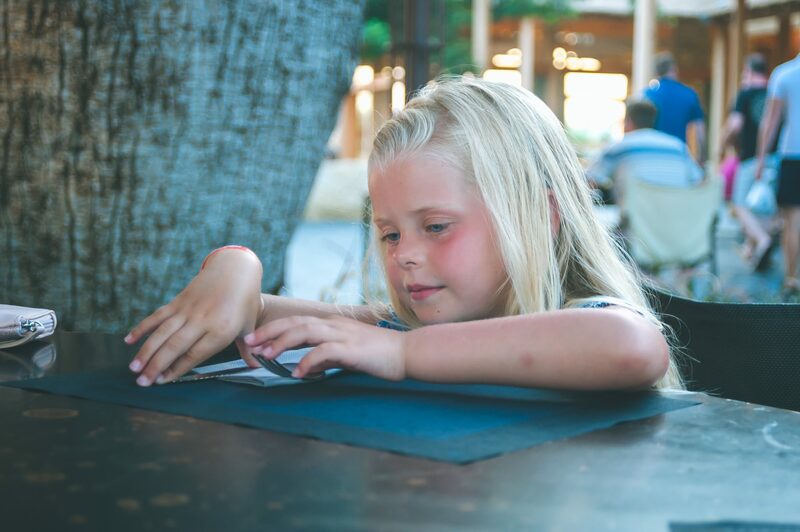 The kids club runs various activities throughout the Summer, with timetables clearly showing the planned activities for the week. My only issue with the kids club is that the staff there refuse to accept responsibility for the children who attend. Of course they offer support with activities and are there to help out, but if you leave your children there, you do so at your own risk. The kids club gate is open at all times and leads on to the main car park which, in my opinion, is way too risky for my children to be attending alone. That said, it was lovely to enjoy doing crafts together there together and the staff were wonderful with the children. 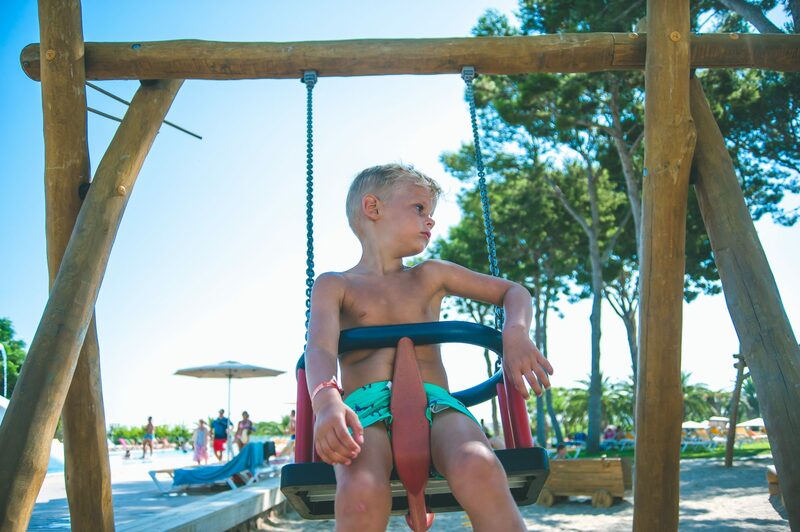 At fourteen, as much as Lewis enjoys lounging around the pool, he also likes to be doing some form of sport to keep active, which is why Eurocamp is perfect for older children too. 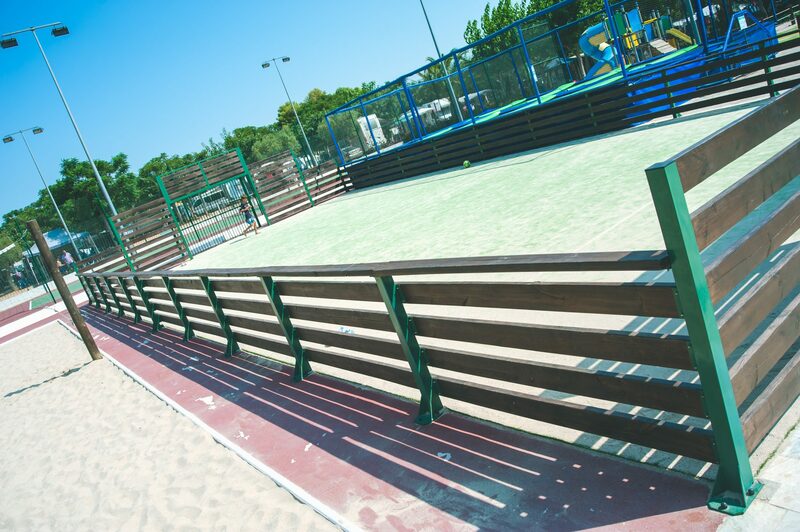 Sanguli has the most amazing sports facilities with daily activities for all ages, including over 12’s, or for smaller groups to create their own games. 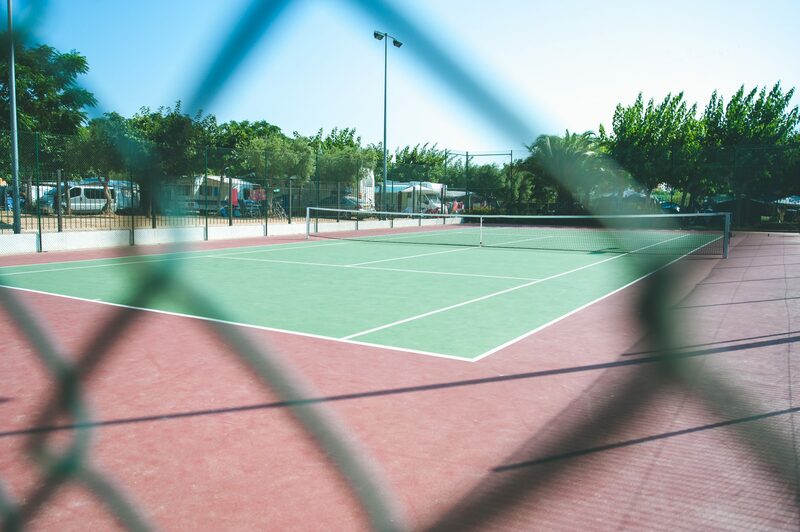 At the main sports hub you can find the daily timetables as well as a member of staff to hire sports equipment from. 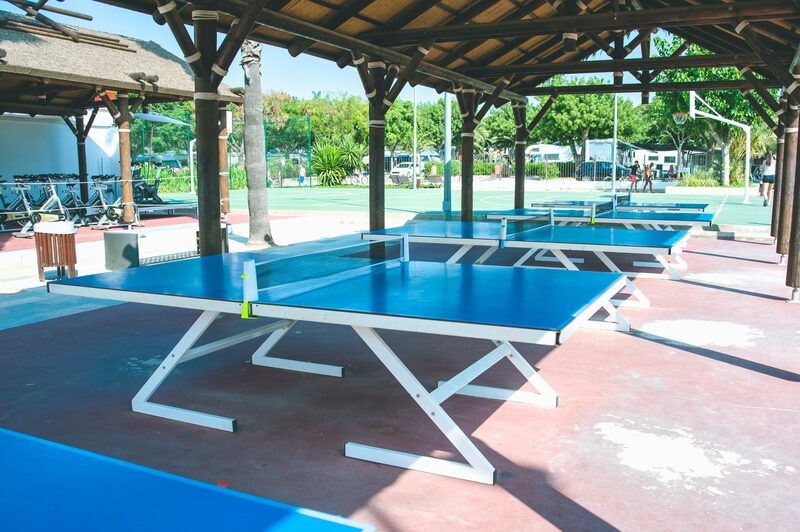 Whilst the kids and I spent time at the kids club, or playing in the pool, Gaz and Lewis enjoyed a few games of table tennis which was free to hire for unlimited use, with just a small, refundable, deposit to pay for the bats and ball. 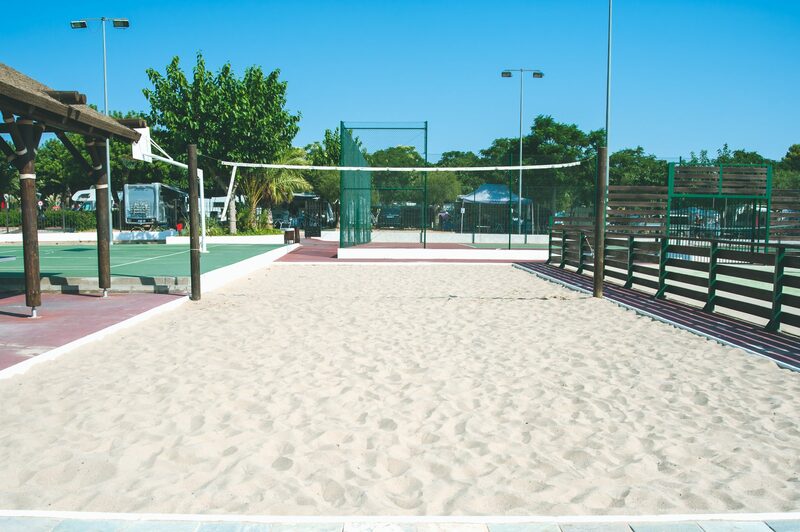 There is also a volley ball net, where you can take part in group games or as a family, as well as a large basket ball court which is free to enjoy. There is also a tennis court and a football pitch, both of which Gaz and Lewis used throughout the week, with Lewis taking part in a few of the over 12’s football games. 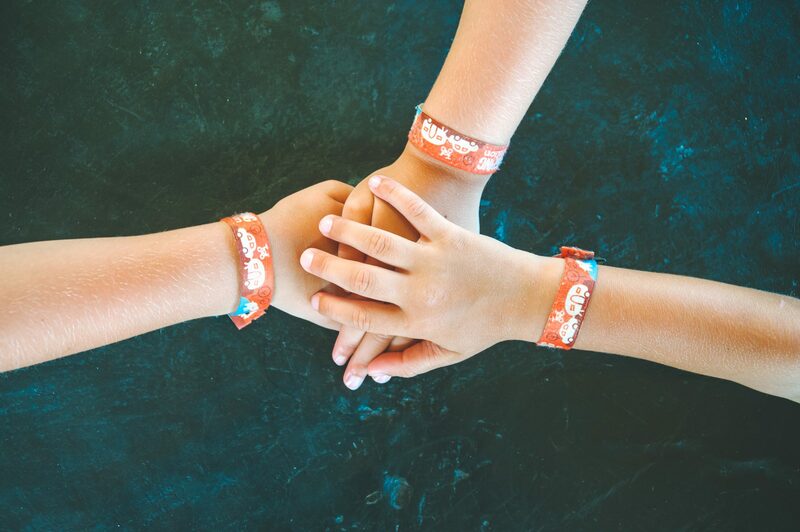 For older children on holiday with their parents, these organised games are a great way to make friends. 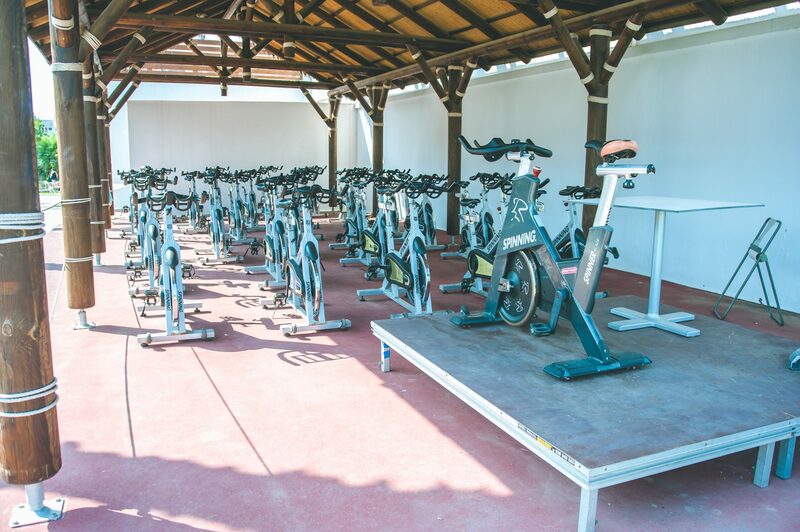 For those who like to keep fit there are daily spinning classes available (In that heat? You must be mad! 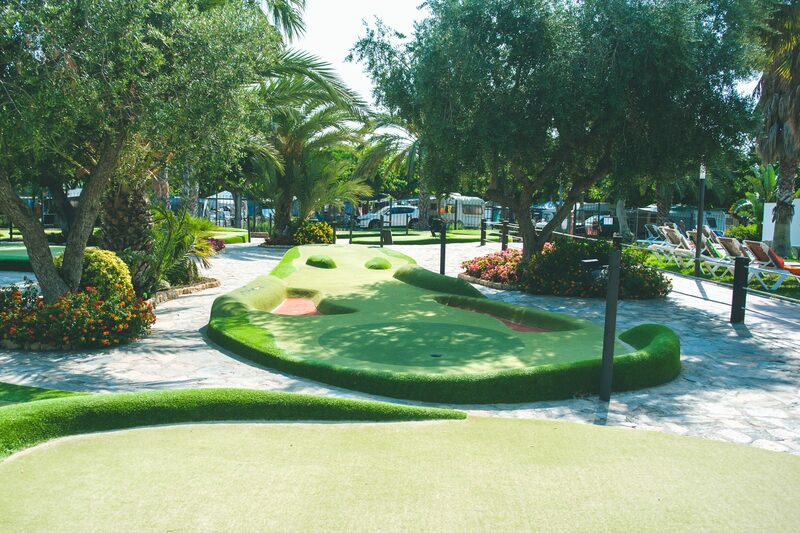 ), crazy golf for all the family, trampolines, three boules pitches, and bike hire! I don’t think we have ever been to a resort where the sports facilities are anywhere near this standard, and Lewis especially was so impressed. 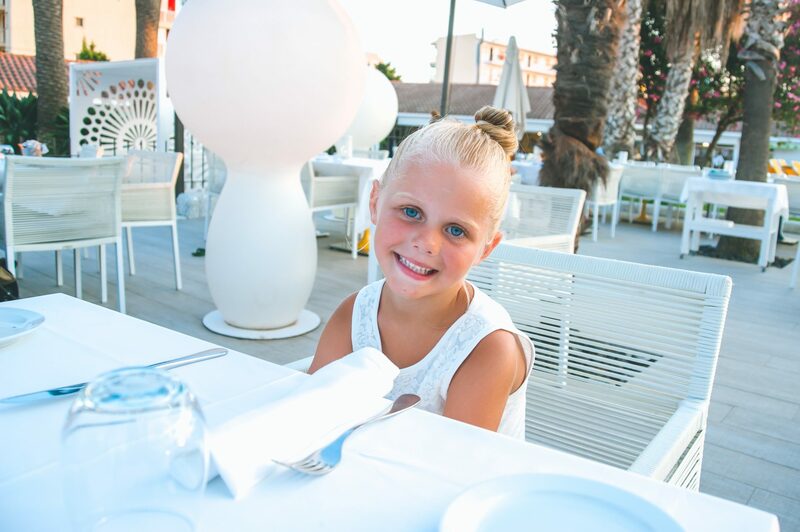 When it comes to dining at Sanguli, we really were spoilt for choice! 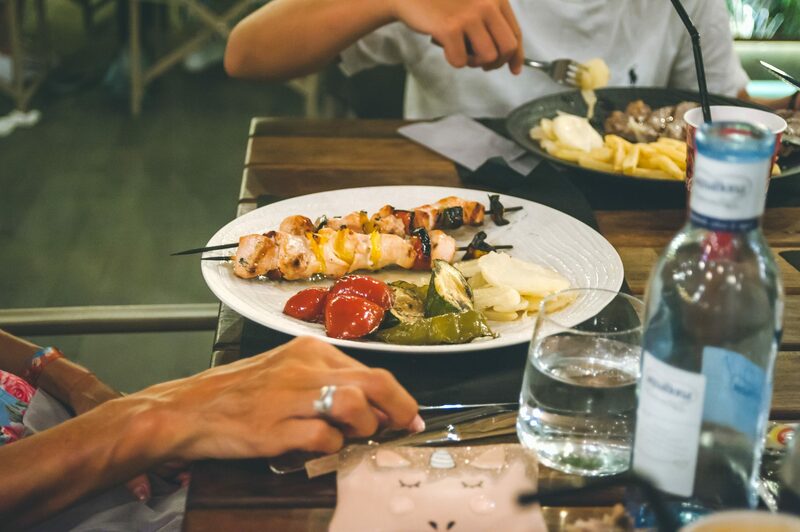 With three large restaurants and several snack bars and takeaways, for those who wish to go on holiday and forget all about the cooking, Sanguli offers a delicious, and extensive, menu. 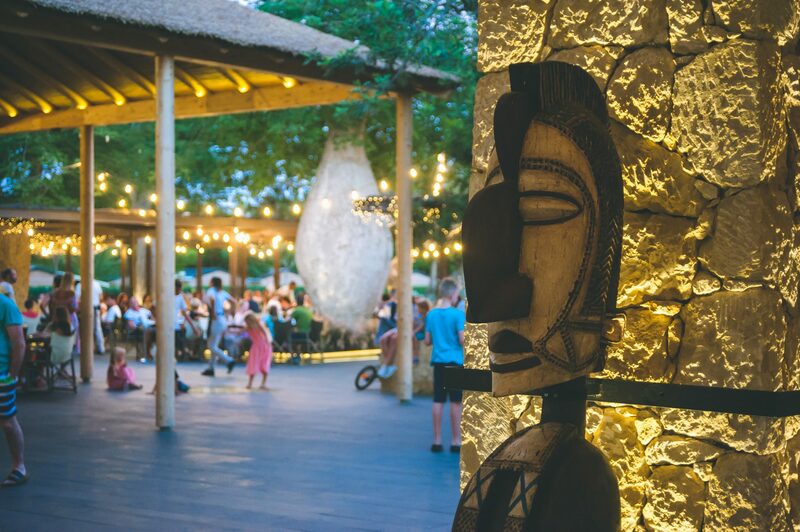 We first chose to eat at the restaurant in Africa which, with indoor and outdoor seating, has such a laid back and relaxing atmosphere. As someone who often feels stressed taking my children out to eat incase they show us up, it was a whole new experience for us to just sit back, enjoy the view, and feel completely at ease for once! 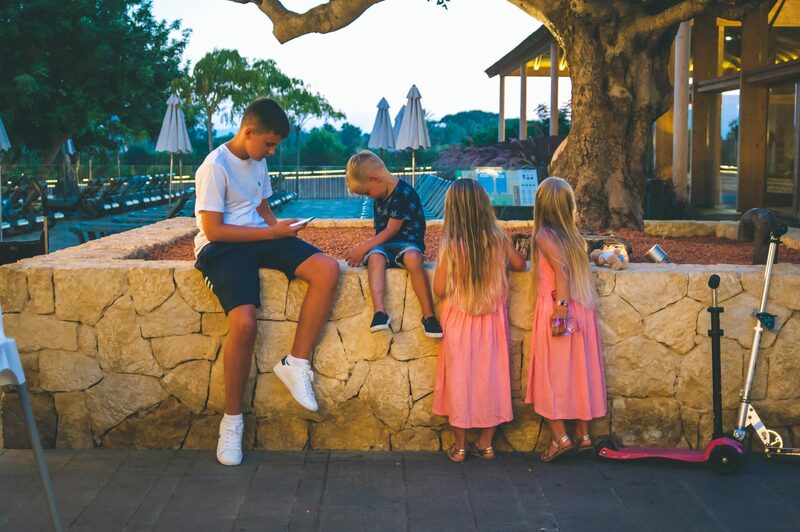 There is no need to book at any of the restaurants and, even for a table of six, the longest we were waiting was just ten minutes – plenty of time for Lewis to have a quick scroll through Instagram and the children to explore the surroundings. All of the restaurants have children’s menus which I was really impressed with. 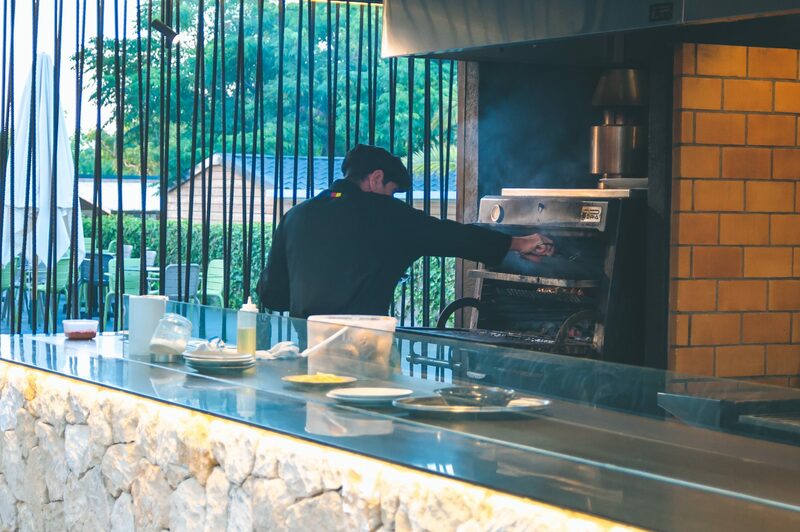 Rather than the usual chicken and chips, there was a real variety of dishes and side orders and the waiting staff were more than happy to custom build our meals to suit any dietary needs and preferences. There is something so lovely about eating outside with nobody complaining they are cold, no wind blowing our napkins away, and no seagulls attacking us for food. 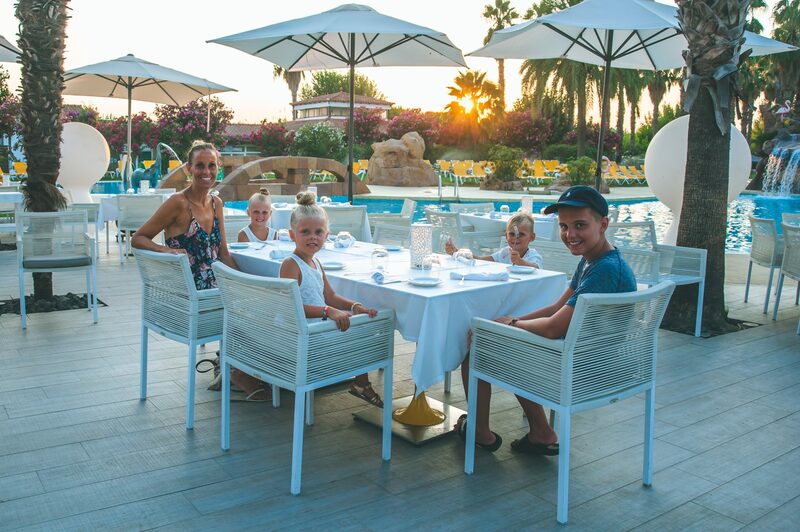 I think dining al fresco is one of my favourite things about being on holiday, and I looked forward to those moments every single night. 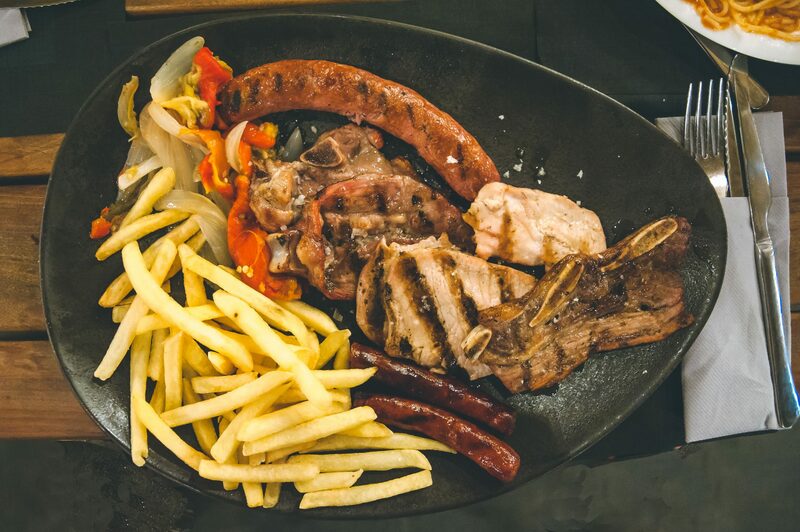 All of the meat is prepared on an open grill beside the restaurant, and all cooked from fresh. 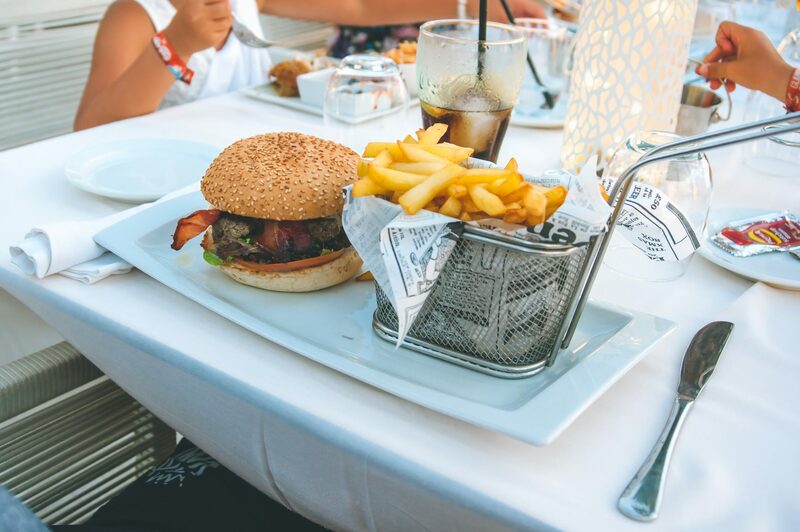 If we weren’t hungry before we sat down to eat, with the waft of food coming from the grill, we were starving by the time they brought the food to the table. 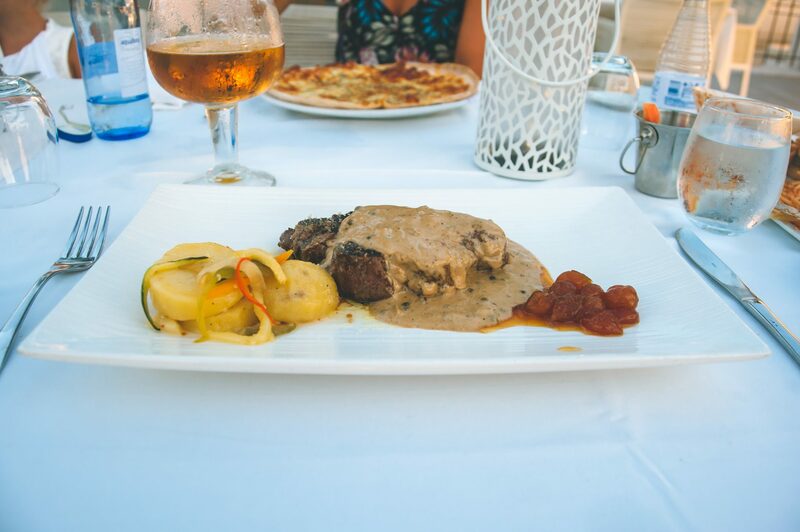 Our meals were beautifully cooked, well presented and well sized portions. For six of us, with a main course and drinks, the meal came to just under 70 Euros, which I think is so reasonable, especially to pay on-site at a resort. We also tried another of the resorts restaurants, at the opposite end of the Parc, which was so light and airy and a lot quieter than the first restaurant. I love how each area of the Parc is so different which is reflected in the restaurants and facilities, and in the general atmosphere and surroundings. Located on the edge of the pool, in perfect view to watch the sunset, it was so lovely to sit there, surrounded by palm trees, and feel as though we were in our very own private paradise. One thing I was really surprised about, although extremely grateful for, was that each restaurant on site had a gluten free menu. It was something I really worried about before we went away, wondering how I would cope if gluten free dishes weren’t readily available, and yet not only did the restaurants have dedicated menus, but the supermarkets had a fantastic range too. Our meal was delicious and I honestly can’t fault the service we received at Sanguli. Several nights we ordered pizzas from the site take away or whole chickens from the rotisserie, and we were more than satisfied with it all. I actually don’t think I’ve ever seen the children eat as much as they did during that week! Sanguli offers a huge variety of entertainment, from pool parties, aqua gyms, and activities throughout the day, but the night time entertainment revolves around the amphitheatre – the most spectacular arena, which photos most certainly don’t do justice! 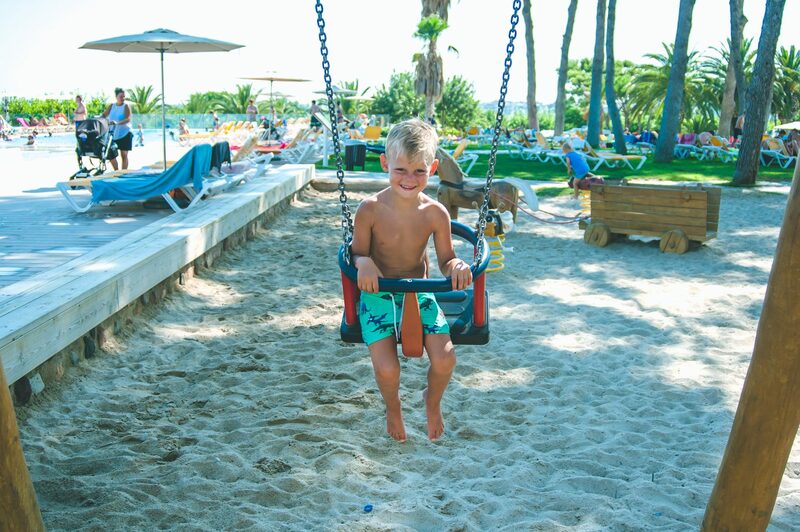 Each night starts with a children’s disco and at 10pm there are various acts on followed by an adult disco. 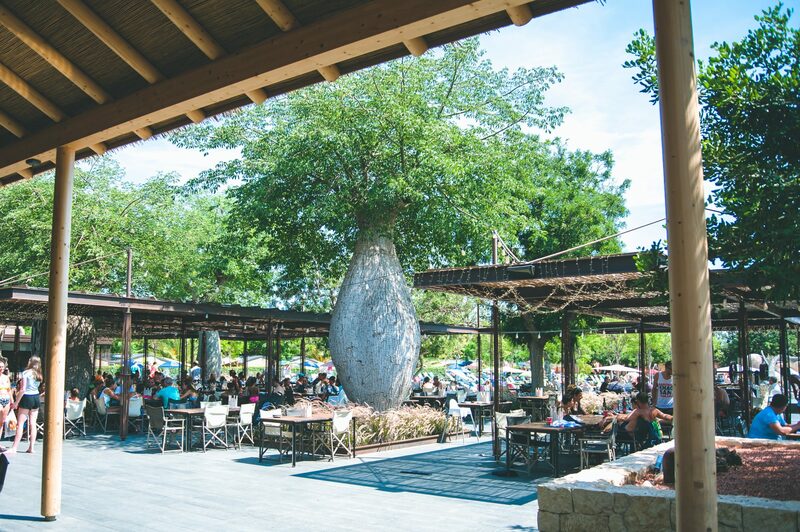 The amphitheatre is such a great idea, with tables all around where you can order food and drinks to whilst watching the evenings entertainment. You can also take your own food and drinks should you wish, we saw lots of people bringing a cool box of beer from the supermarket, which is a great way of saving money on bar prices! 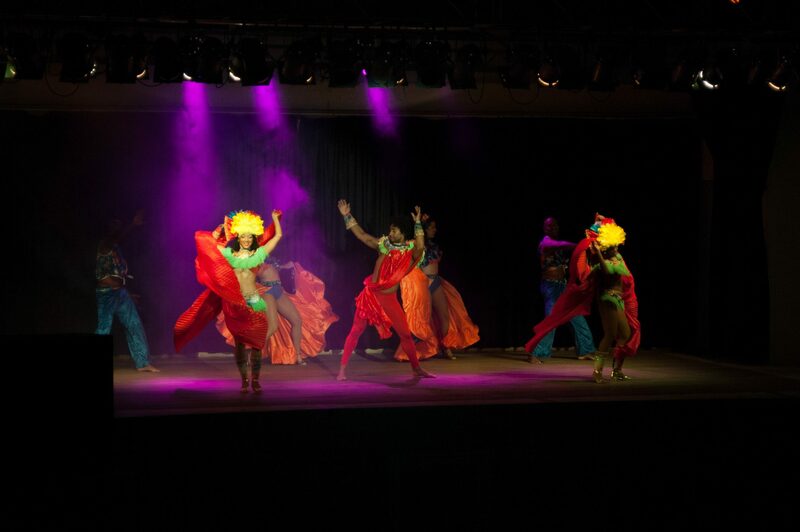 During our stay we saw various acts at the amphitheatre, from a Brazilian dance act to a Pirate performance, and the shows were all really impressive for both the children and us adults. I absolutely loved how everyone came together at the end of the day to watch the shows together, the atmosphere at the amphitheatre was pretty special. There are two large supermarkets at Sanguli, as well as a mini market, a gift shop and a bakery. The supermarkets are well stocked with literally everything you could ever want or need, and the fresh breads and pastries from the bakeries were to die for! For those who prefer to shop elsewhere, there is a huge Lidl just down the road from Sanguli, although personally we shopped on-site and found it so convenient. 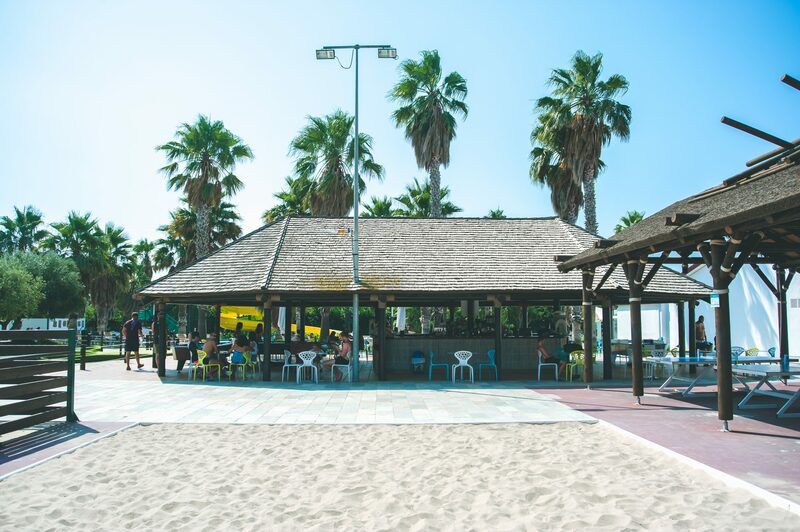 Sanguli has it’s own beach club just a short walk away from the parc, literally just 0.2 kilometres across the level crossing and onto the promenade. The beach is stunning, with white sand and clear seas, and sunbed and parasol hire – a real necessity in 40 degree heat! 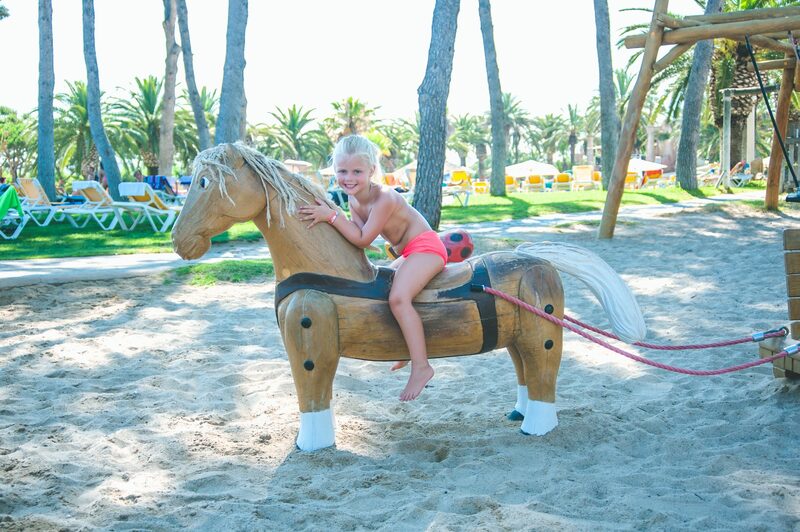 Their are several play areas along the beach for the children and also pedalo hire should you wish to go out to sea. I’ll be honest with you, the weather was so hot that we only ventured to the beach once it had started to cool down a little, usually around 6.30pm, as it was unbearably hot before that time. The sea was lovely and warm though and people were on the beaches until long after it started to go dark! Just a 1km walk from Salou, Sanguli is in prime location for those who prefer to be near busy towns and cities. 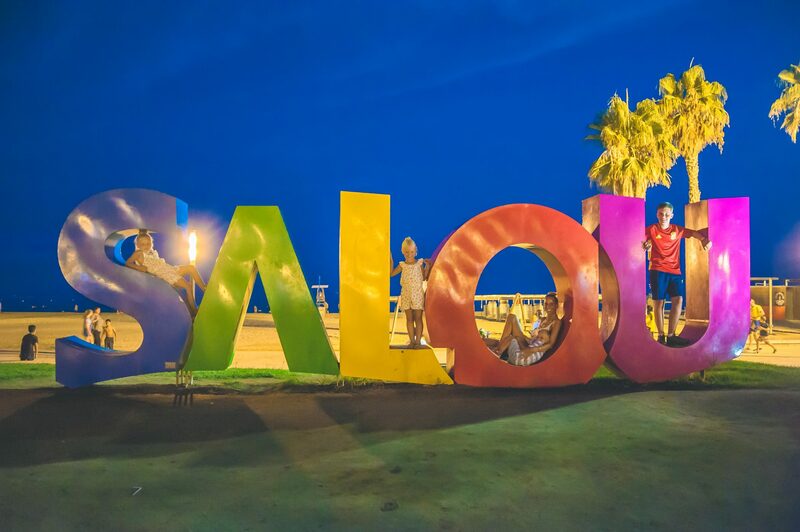 It’s a straight walk along the promenade into Salou and there is lots going on, as well as lots of lovely places to eat and drink. 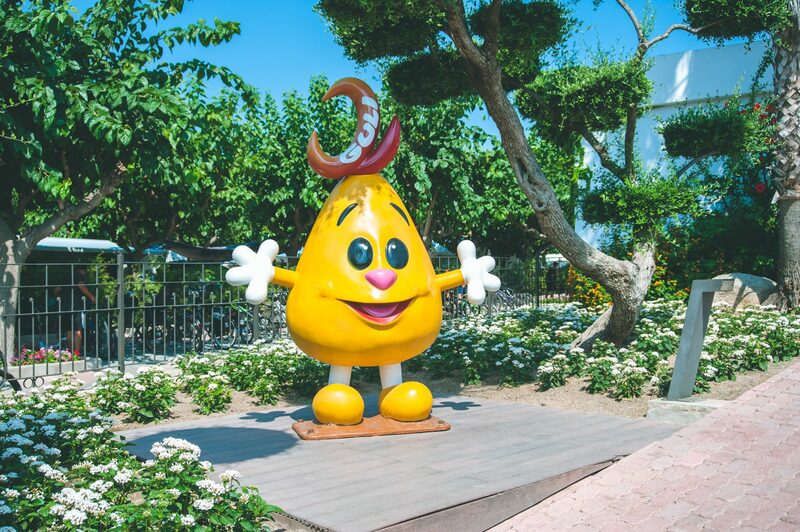 Also just a few km down the road is Portaventura, Europe’s largest theme park, and Gaz and Lewis enjoyed a fantastic day out there, travelling via bus direct from the promenade. SO WHAT DID WE THINK OF EUROCAMP? I think it goes without saying that we had the time of our lives and we were all so sad to see the holiday come to an end. Eurocamp was everything I hoped it would be, and so much more than I thought it would be, and even when I tell people how amazing it was, I still feel as though I can’t express in words just how much I mean that. 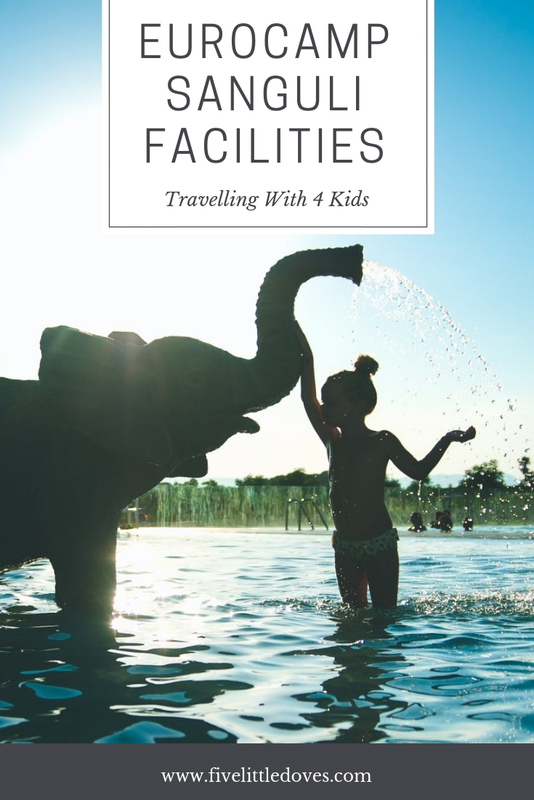 I never thought that we would find a holiday destination that was both affordable and practical for a larger family, and that could accommodate a four and fourteen year old equally. Our week passed in a delightful blur of sunshine, fun, and laughter, and I know we will look back on this holiday for years to come and remember it as the first time the six of us travelled abroad together, the first time the youngest three flew on an aeroplane, their little eyes wide with amazement, the year Eva learned to swim without armbands, zooming down waterslides and diving underwater without fear. The year we swam in Spanish seas, ate chocolate croissants for breakfast and lime ice lollies for lunch. 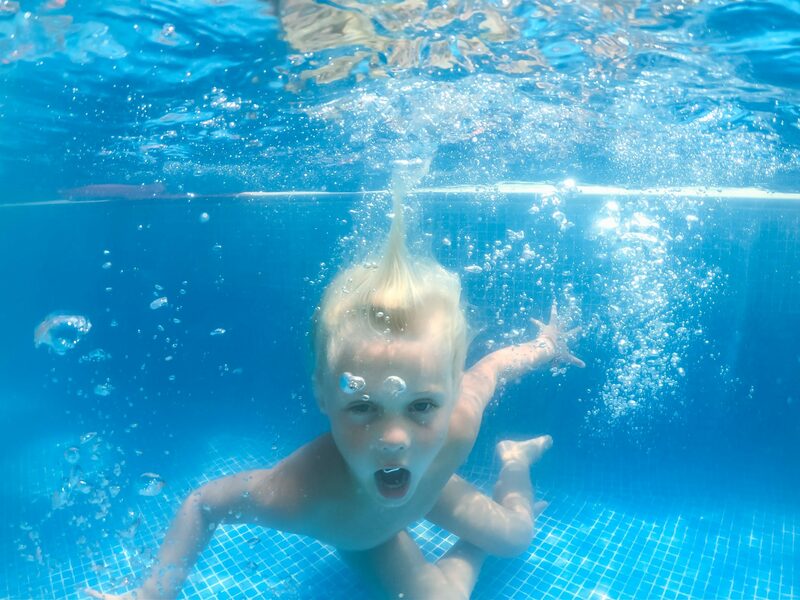 The year the children played unicorns and pirates in the sunshine, when they asked me, “Why does everyone speak so funny?”, when they ran around in just their swimming trunks, their skin tanned and their hair white. 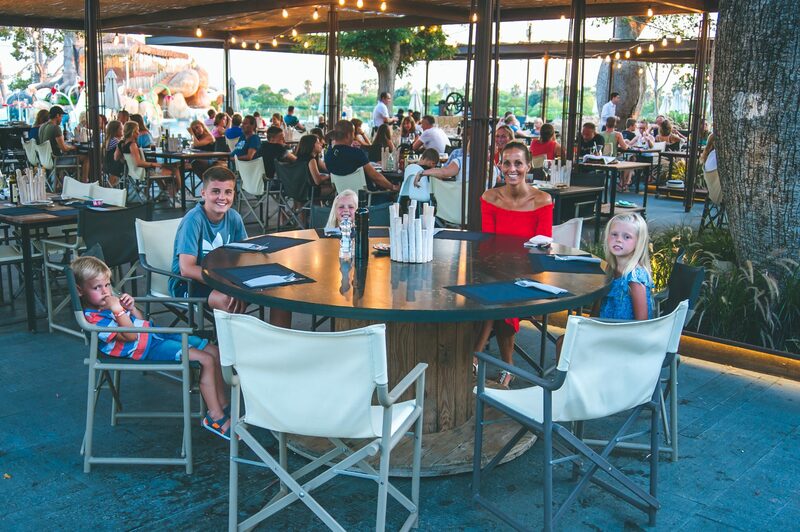 The year Gaz and Lewis rode rollercoasters at Portaventura, battled it out in boiling hot temperatures at table tennis; the year I loved every single moment of having all four of the children together. The year we watched shows and ate pizzas, strolled along the promenade and felt the sand in-between our toes; the year everyone whinged a little less, laughed a little harder, and slept a whole lot more. The year we woke to glorious sunshine each morning, when we swam in the pool from morning ’til night, when we lived each day without a care in the world, the worries of daily life a million miles away. And yet undoubtedly, one of my favourite memories of our holiday was each night after dinner, when we walked to the show or into the town, and the children would look up at the sky, seek out the brightest star, and tell me, “There’s Joseph! He came with us!”. And my heart has never been so full as it was in those moments. 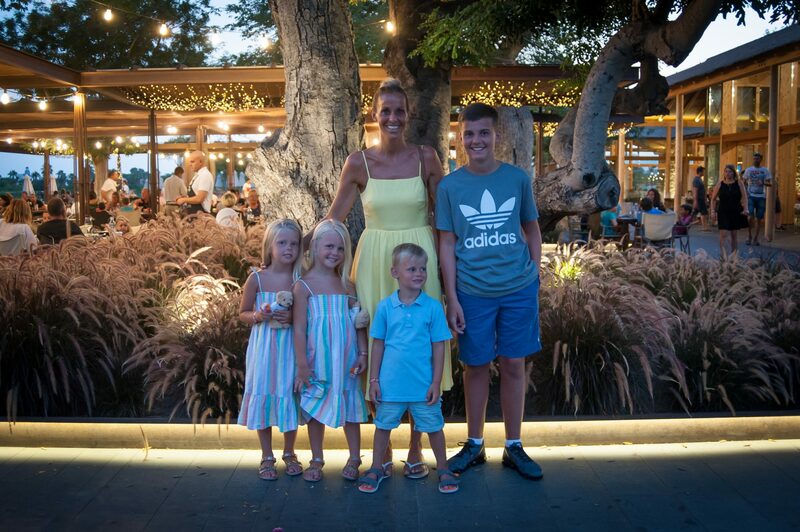 We have been so incredibly lucky to spend this time together as a family and one thing is for sure – it may have been our first visit to Eurocamp but it certainly won’t be our last. 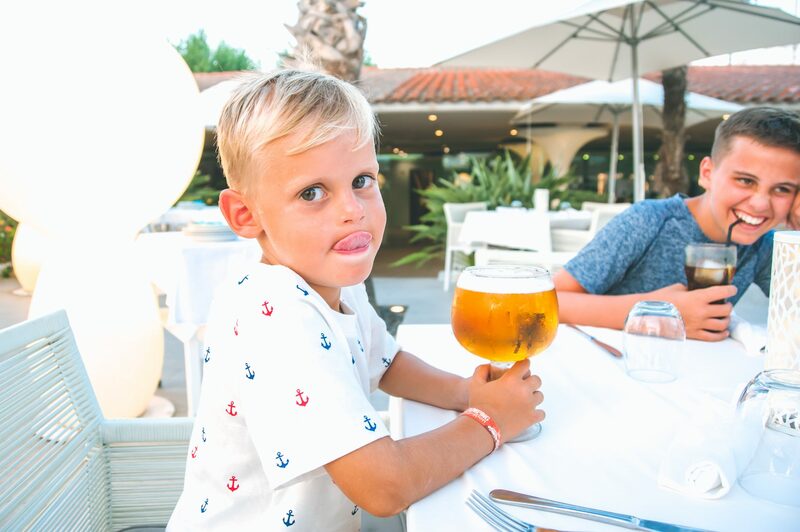 To anyone debating whether to book Eurocamp for your family holiday, my advice would be just do it. Make the booking, make the memories, and prepare to have the absolute Summer of your lives. Wow, it looks like you had so much fun! 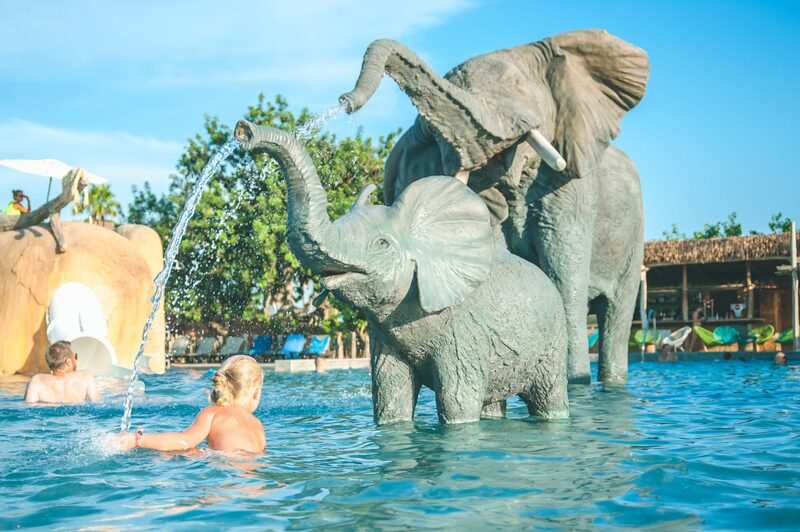 I love all the animal statues especially the elephants in the pool. What was your favorite part? Oh wow it looks like you had an amazing time in Spain! Eurocamps have come a long way since I was a child lol! Not sure I would want to get out of that pool it looks like so much fun! Wow this is so different to the Eurocamp we are staying at in Holland. Glad you had a great time. 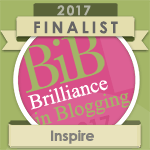 What an amazing blogger opportunity. And I’m so glad to read your post because as a North American I’ve spent the last 14 years in the UK thinking that Eurocamp sounded just plain weird and bizarre to me. 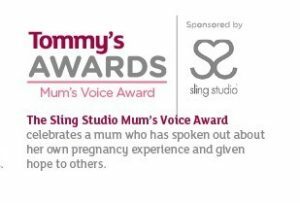 But…BUT…becoming a mother changes everything! 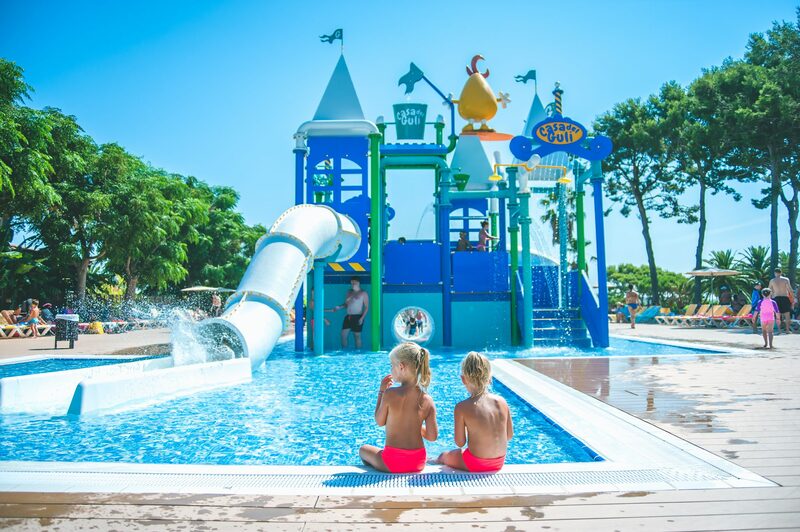 I’ve heard so many good things over the course of the last year about Eurocamp holidays and how kid friendly they are and how high quality the sites are. And your article and experience and beautiful photographs just confirms that. Thank you so much for your wonderful review. Wow what an amazing place. I can feel the fun you all had just by looking at the photos. I would love to visit one day with the family. OMG we have stayed at Eurocamp in different parts of France, Italy, Holland and Germany and although we have loved them none look quite as impressive as this one. It sounds like it was a shame they do not offer all inclusive! Did you fly drive or hire a car to get to the resort or is it accessible by public transport? Sounds absolutely amazing. I saw some of your IG stories and you all looked like you were having a ball. We actually live in a 2-bed mobile home in Portugal while we save for a house but the facilities on our site are nothing like that one. And I’d love to experience a EuroCamp holiday somewhere else one day, if only to avail of amazing facilities like you had. And if course a change of scenery. It looks like an amazing place. N would love having all the pools there on tap. I love the idea of a Spanish adventure. Sounds like a lovely time to enjoy. I need to get out more and travel, this would be a fabulous time for me. What a beautiful time in our lives when we can relive some of our childhood favorites with our own growing and precious children. Sanguli looks gorgeous. I love the photo with the little hands. 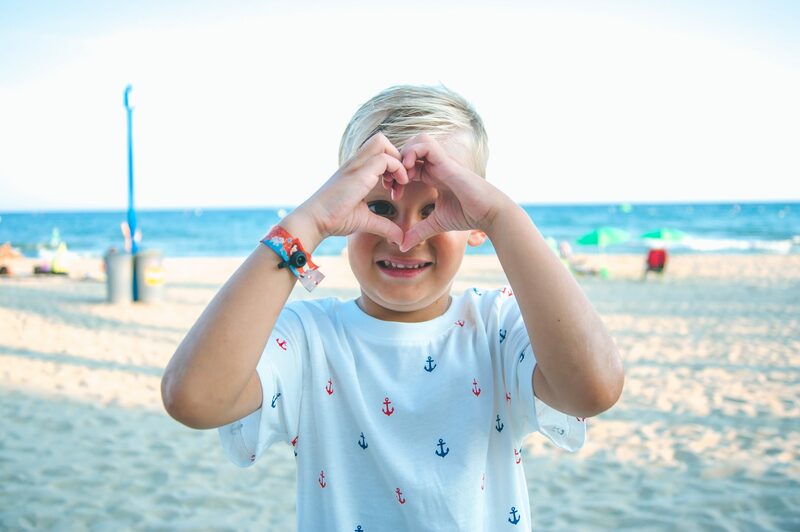 So many wonderful memories you will cherish for years to come. Looks like a wonderful place for a family vacation. Great photos! Looked like the children had so much fun. Wow, this place looks amazing! How awesome that you were able to stay for free. I know it was still a lot of work on your end, but still great to have the time with your family. My boys would love that pool, it looks like os much fun!! Wow what a super fun place! I mean, children’s disco? How awesome is that 🙂 Lots of things to do for the whole family. I have never been to Spain, but all of my friends have. They love it! I will spread the word about Eurocamp- it looks sensational! Wow, what a lovely time you all had. 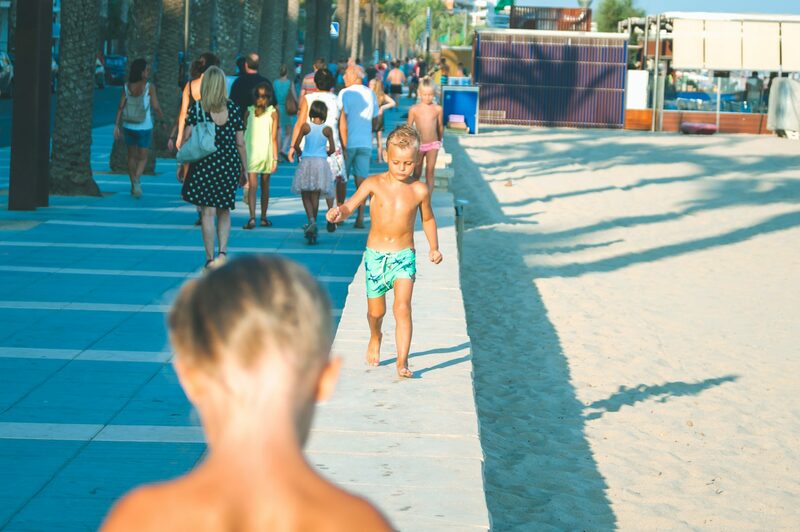 I would love to go to such places with my family and my four-year-old son. I sure he would especially love those animal statues and the big pool too! Must have been awesome! That is definitely a great visit there. I want to experience those with my loved ones to enjoy the lovely place. That looks amazing. What a wonderful place to stay. I love all the things they had available for the kids! I get what you said about holidays being awkward… This looks like the answer to our prayers… We have 5 ranging from 1 to 13 so it’s difficult to keep them all entertained. 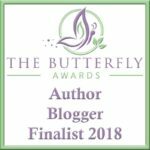 Gorgeous photographs and an amazing review. I bet the 7 day stay is not enough to spend on this amazing place! I love that it offers lots of activities for different ages. I see the general consensus is wow, but…WOW! 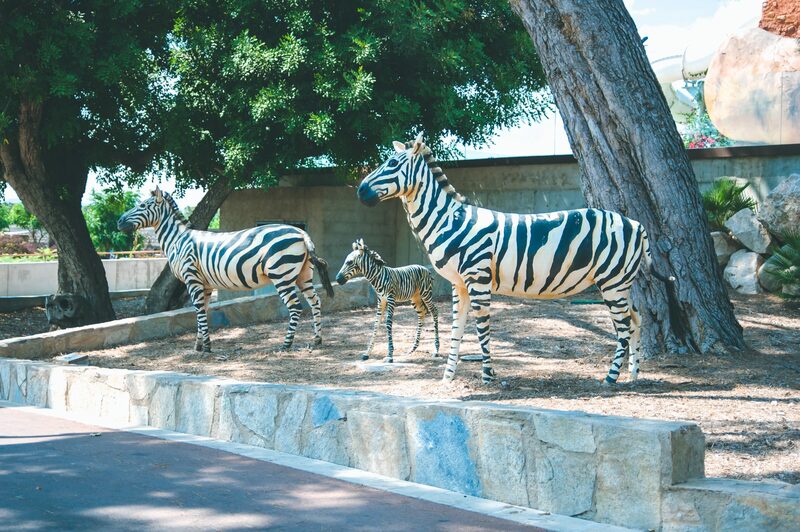 lol What a fantastic place to visit, and your photos are amazing, makes me want to experience this with my family. This looks like an amazing place. Your photos are great! I’d love to visit sometime. I’ve heard that these eurocamps are quite good from other parents. It’s nice to see the various activities they have there. I’m tempted to go too. Wow, those are some really beautiful photos. Now this looks like a great place for my family to go. I know my daughters would have a blast. What an incredible adventure! There is so much to like about this. The mobile looked like the tiny home craze that’s hitting the USA. I would love to stay here! This looks so amazing. So much to do and see. I like the giant donut. Well, I like it by default, because I know my kids would lose their minds if they saw it. What a lovely experience and a great way to vacation as a family. We enjoy taking international trips and Spain is definitely on our bucket list. I will be looking into Eurocamp! This resort looks amazing! I can’t believe how huge the pools are. I love their attention to detail with the theme too . . . it’s almost as good as Disney! Hands down the coolest pool/waterpark I have ever seen! 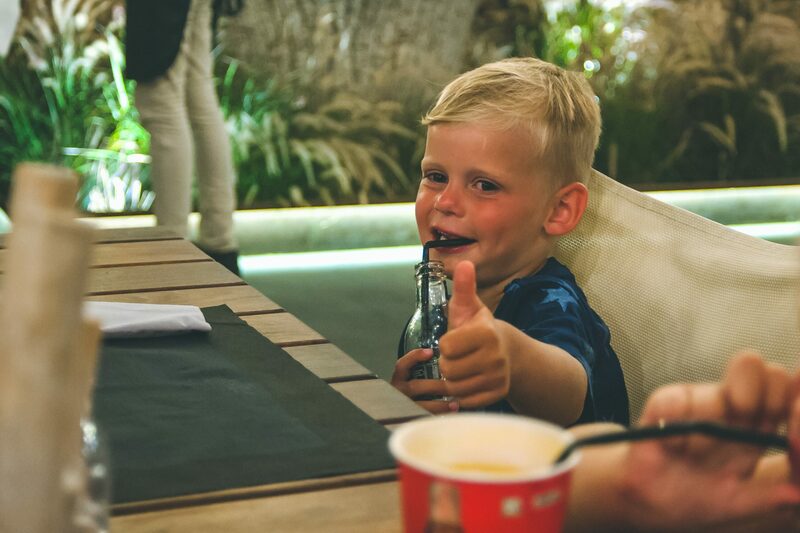 Your family looks like you had such a blast! Love all of these photos! What a splendid place for a vacation! There are so many things to see and enjoy. I loved the Azure Mobile home. That looked like a really nice place to rest after a fun filled day! This looks absolutely amazing! My daughter would LOVE that pool area! Seems really family-friendly! That looks and seems amazing! Someday, a vacation will be in our cards. Oh, Salou! How wonderful to see it so beautifully photographer. 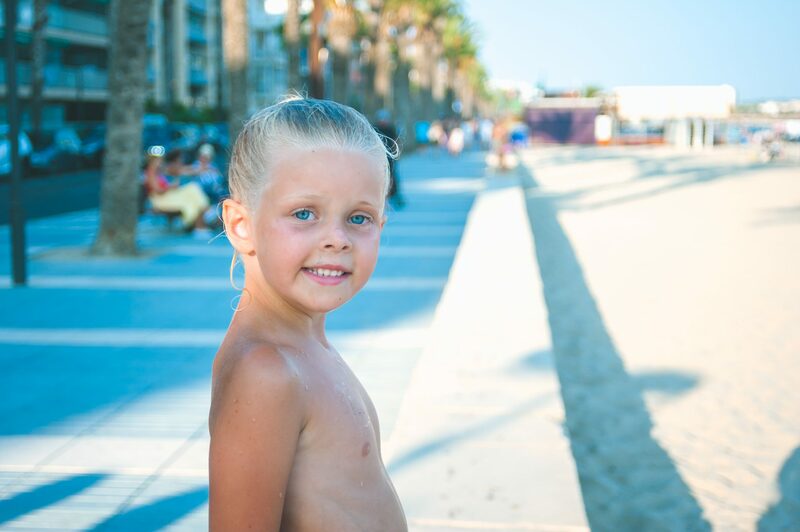 We couldn’t afford many holidays at all when I was a child, but the very last one I remember going on with my mum and siblings – I must have been 4 or 5 – was to Salou! My goodness. This place looks stunning. Your photos are absolutely breaking! Thank you for sharing!!! It looks like you had an amazing time. We were thinking about Euro camp for our family holiday next year. Wow! My kids would love this place! 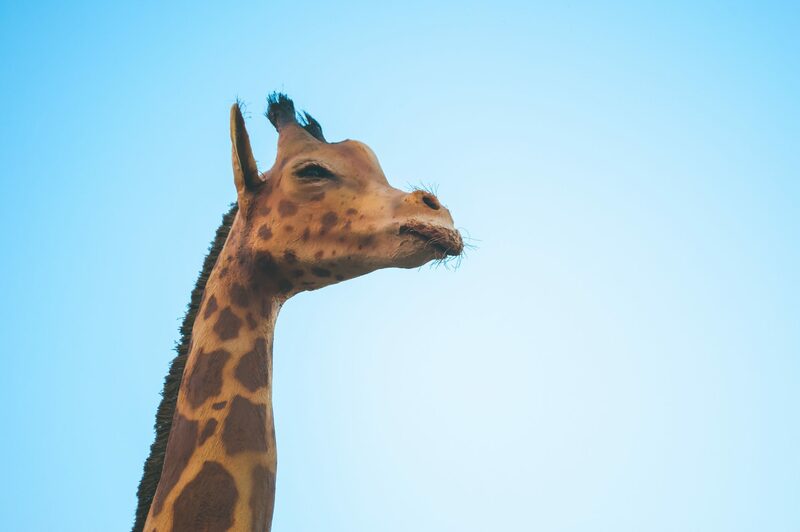 The African theme is very well done from the looks of what you’ve shared about your trip. What a cool place! It looks so family friendly and I’m sure my kids would love this. It looks so interesting and lots for the kids to do. I love Spain and have been thinking of writing about the place lately. Everything about the place is so beautiful and unique. Wow what gorgeous photos and a lovely experience with the family. It looks like a dream adventure. I would love to take my family! Amazing place to visit! I hope we can make our way here sometime to visit. What a great place for families. This looks like a fantastic place to visit! Lots of stuff to do, especially if you have a family. Great photos, and it looks like you all had a great time! 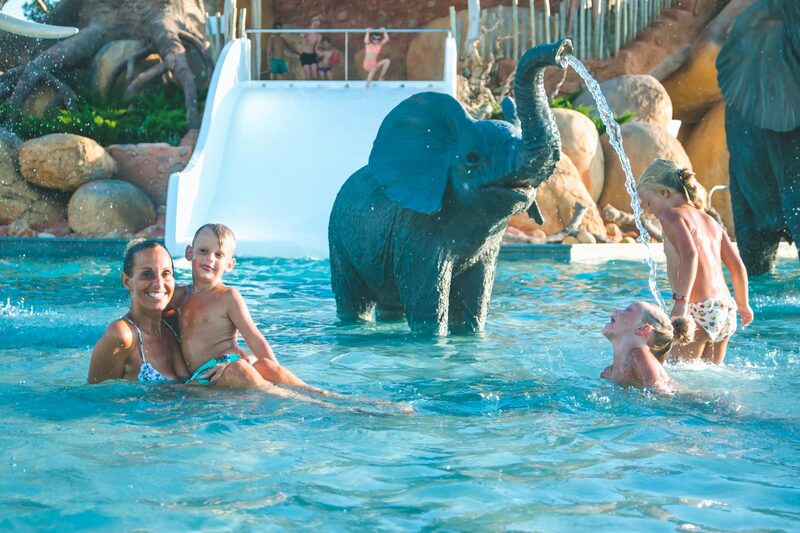 What an amazing destination for families! I don’t think my kids would ever want to leave the pool. 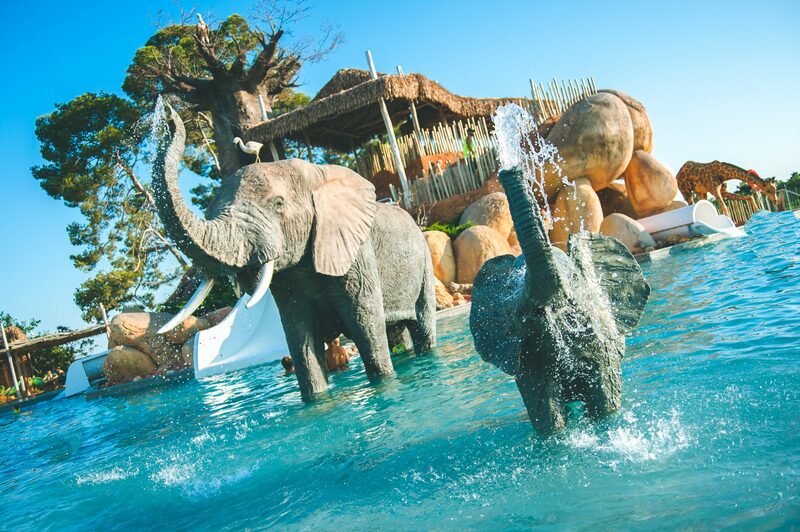 The animals in the water is such a neat idea for keeping with the African themed area. 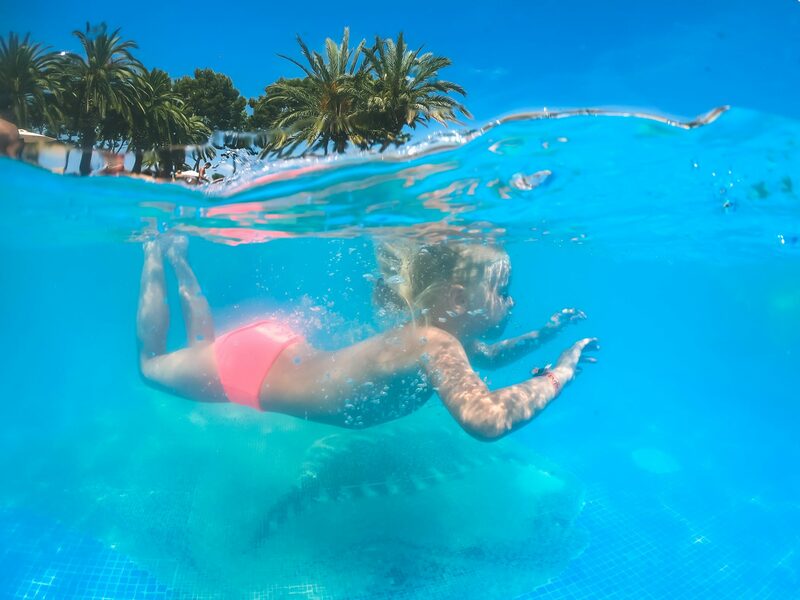 That water park looks like so much fun! So much fun for all the kids. Looks like you made it work and had a blast. I’ll put this on my list of places to visit. Looks like you all had an amazing time! 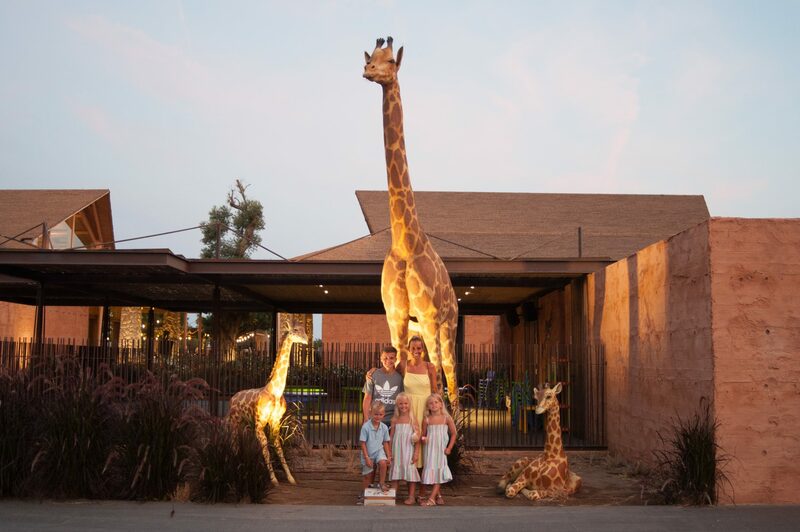 Looks like the perfect family-friendly destination, I will have to take my family here one day for sure as we need a holiday its been too long. This sounds like such a great vacation. I will definitely be looking into taking my daughter to Eurocamp, Sanguli. Thanks for sharing. such a beautiful place! it looks like you all had so much fun! i think it is so great for children to see the world at a young age! Wow and wow and wow, such an amazing place to visit. It so beautiful and definitely a lots of fun and adventure. The whole place looks spacious and exciting. I love to dip in a less crowded pool. And mh kids would definitely enjoy the whole place. Wow, those pools look exciting! Perfect for the kids to enjoy. Glad everyone had a wonderful time during your stay! Looks lovely. I love the african/animal theme. Thanks for the post! Wow what a fun place! 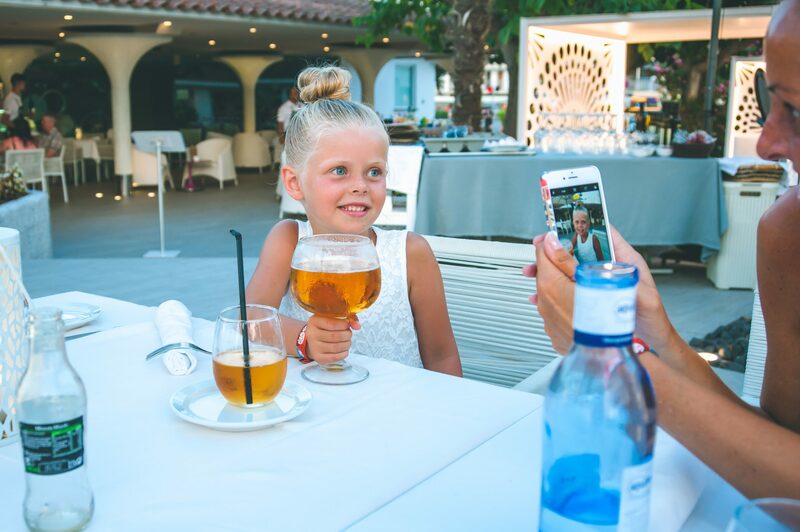 I’ve never heard of a children’s disco….Loved your pictures! Wow! What an amazing place. I bet my family would love it there. What a wonderful place for the whole family to spend a vacation. Love the mobile home and the pool. I would love to go there with my boys! Oh wow Laura! It looks fantastic – that swimming pool! I never expected Eurocamp to be quite so big and to have so many facilities. Great photos. Ah Laura, I LOVE this post! It looks like the most amazing holiday, your photos are fantastic. 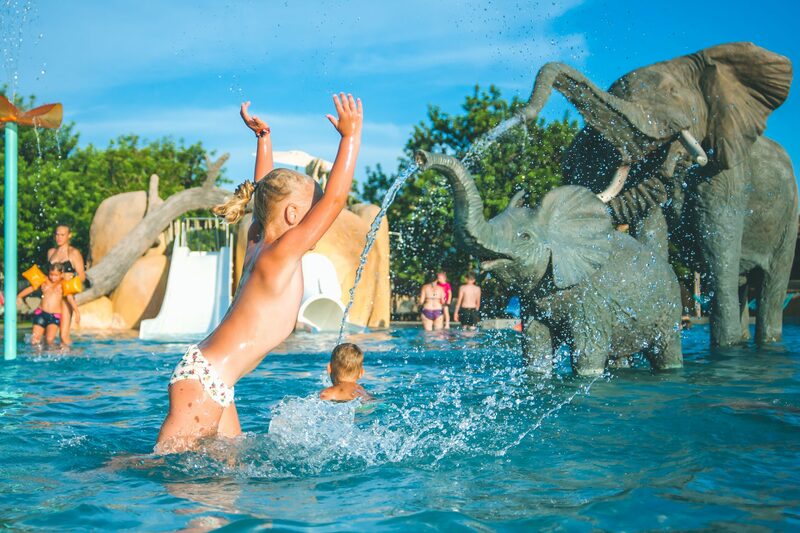 I have such fond memories of my own Eurocamp holidays from when I was little, but it looks like they’ve really stepped it up a level – that swimming pool looks epic, and the restaurants look so much better than the hole in the wall takeaways I remember! (Mum and Dad would send me and my sister off with our saucepan and we’d have to ask for “4 poulet frites”). We’re planning a Eurocamp trip in a year or so maybe, and I’d not have considered Spain, but it’s definitely going to be on my list now! What an amazing vacation! I have never been to Spain and have not heard about Euro Camps before but this looks like it would be a great family vacation location! It’s definitely somewhere I’d like to check out! I was following your trip on Insta. Sanguli has been on our list of maybes for AGES. I’m convinced now. It really looks like it ticks all of the boxes for our family. Your photos are amazing btw! This place looks amazing! I know I already told you on Instagram but that elephant silhouette photo with your daughter is so perfect!! 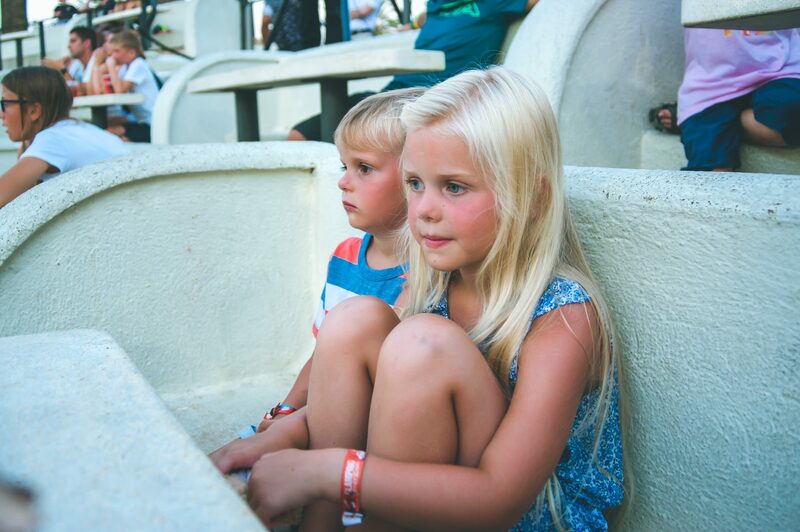 You have such a beautiful family and captured so many magic moments whilst at Eurocamp. It looks like a phenomenal place to stay and it is great that they have so many pools and activities. Oh Laura you pictures are stunning!! It sounds like you had an amazing time and I have never seen a park like it, its beautiful. We are total lovers of Eurocamp and have visited France before. I always wondered if you could get much better, but after reading this I think we will be trying Spain next time. I’ve always been undecided about Euro camp but omg this looks fantastic!, We are going to book for next year I think! !.